I have wanted a greenhouse for as long as I can remember. A warm, well-lit room dedicated to nothing but plants is pretty much every gardener’s dream. Whether for growing food or for housing tropical plants, greenhouses are beautiful and functional additions to a property. 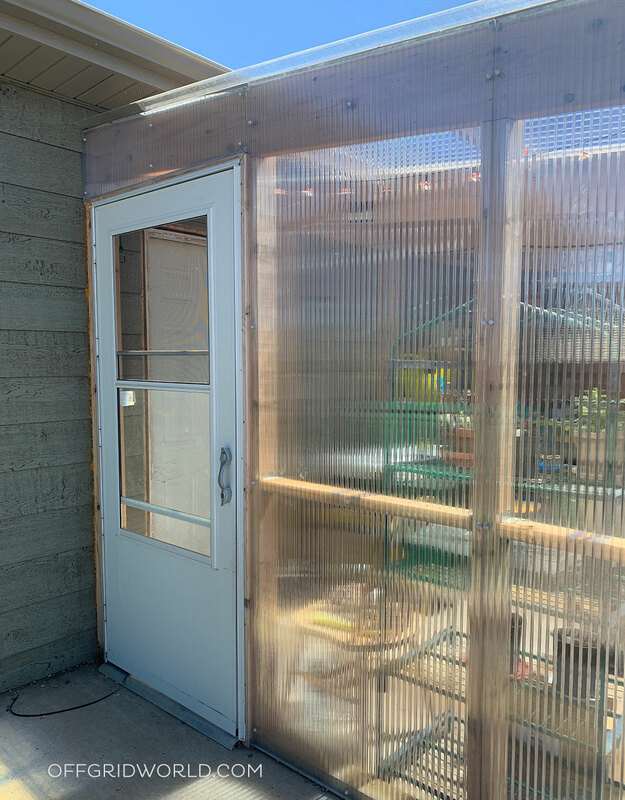 Last summer, we put up our own DIY greenhouse – an 11-foot by 20-foot lean-to with polycarbonate panel walls. 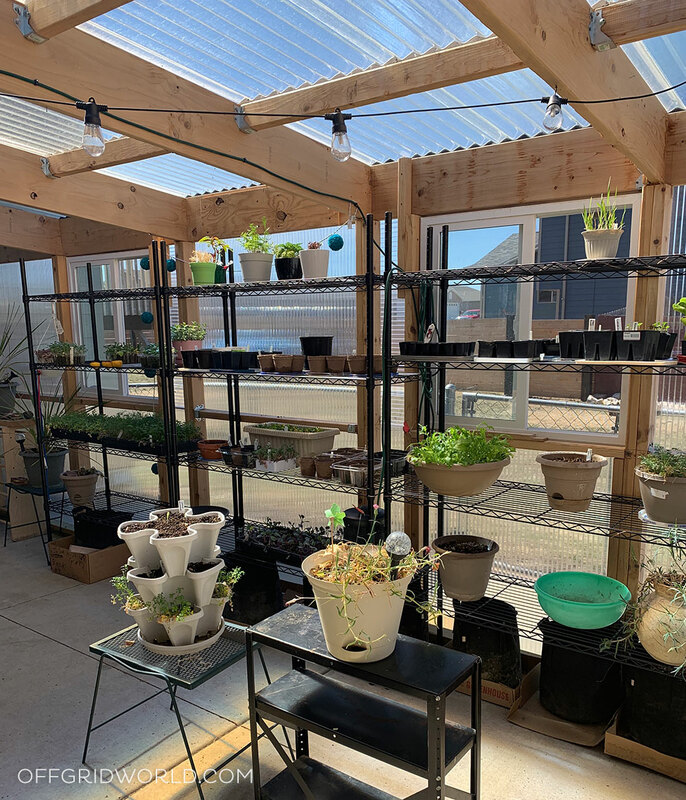 Our building process and costs will be the topic of an upcoming article, but first, let’s talk about why every avid gardener should have a greenhouse, and why building a lean-to greenhouse is a budget-friendly option with many benefits. If you’re on the fence at all about buying or building a greenhouse, perhaps I can help talk you into it! Most gardeners understand the value of a greenhouse, especially when it comes to gardening in cold climates. They’re beautiful and useful in many ways, but the most important is that a greenhouse adds valuable time to the growing season. If you want to grow as much of your own food as possible, like I do, it’s very important to find ways to maximize your growing season. Kumquats in South Dakota? In winter? Yes! We live in zone 4, so our growing season is very short. If we plant anything too early – before May 15th or so – we run the risk of having new garden plants killed off by a late frost or freak snow storm. On the other hand, if we plant too late – after the first couple weeks of June – we have a garden full of not-quite-ripe produce threatened by the first fall frost. There’s nothing more frustrating than seeing the fruits of your labor in the garden killed off by frost before getting the chance to mature. A greenhouse provides a place to start seeds early, so seedlings have a good head start when the soil is warm enough to plant. It also extends the growing season well into fall or even winter. Any plants in containers can be brought into the greenhouse to continue providing harvests long after the first frost. We were hit with an early frost this past fall. I had several of my tomato plants and peppers in grow bags in the garden so I was able to move them into the greenhouse when that cold weather hit. Amazingly, those plants were still producing well into December – a full 3 months longer than they would have if I left them outdoors! And, now that we’ve gone through our first winter with the greenhouse, I’ve discovered plants that have thrived all winter, despite the fact that this was the coldest winter on record here. Subzero temperatures were the norm for the last couple months. There are endless options when it comes to types of greenhouses: freestanding, attached, hoop houses, geodesic domes, plastic, polycarbonate, glass, and the list goes on. 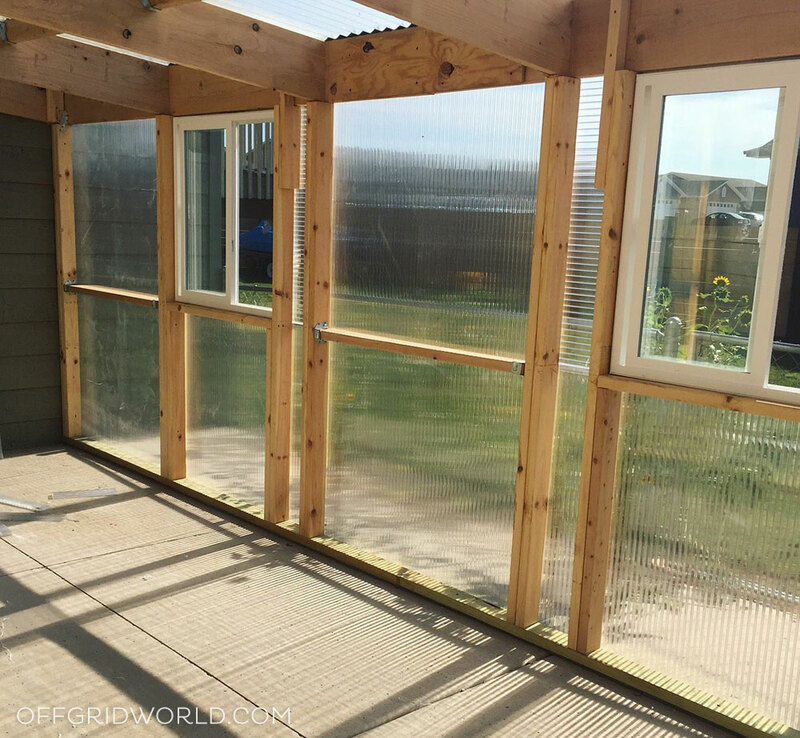 We chose to build a lean-to greenhouse attached to our house, with a sturdy wood frame and triple wall polycarbonate panels. We opted for the lean-to for a couple reasons. First, we already had a large, unused concrete pad off the back of our garage perfect for a shed or similar structure. We also had a bad water drainage problem in this area, so a lean-to structure made sense to help drain water away from the house. Besides our reasons to build this style, there are many advantages associated with lean-to greenhouses. Here are a few of them. Lean-to greenhouses are a simple design that is easy for most DIYers to tackle. They typically consist of a short wall in the front, a tall wall in the back against a standing structure, and two sides. Because a lean-to greenhouse is built against an existing structure, fewer materials are typically required to construct one. Most lean-to greenhouses need only the sides and front wall built since the back wall consists of whatever building it is leaning against. In our case, we only had to construct two full walls because our greenhouse is tucked into a corner against two existing walls where our house meets our garage. If your greenhouse is attached to your house or another building with water and electricity, you’ll have easy access to these necessities. Otherwise, you’re left stringing long lengths of extension cords and hoses across your yard, or digging underground to install permanent plumbing and wiring to your greenhouse. 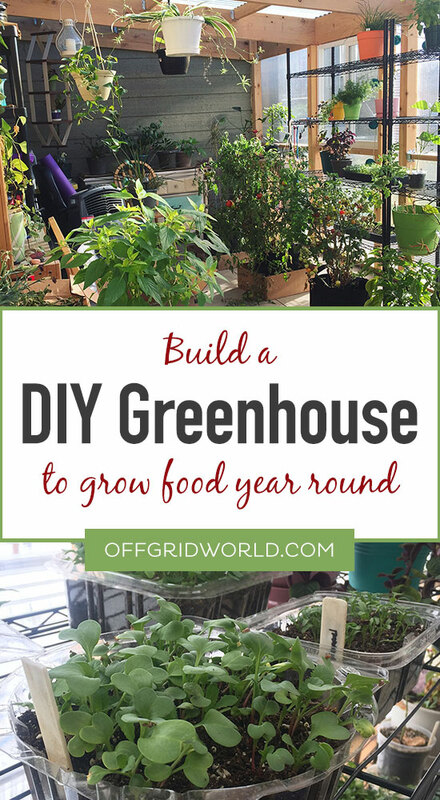 Unless, of course, you find ways to make your greenhouse off grid. Let’s face it. When the wind chill is below zero and snow is blowing so hard you can’t see your hand in front of your face, it’s really nice to enter your greenhouse without getting blasted by Jack Frost. 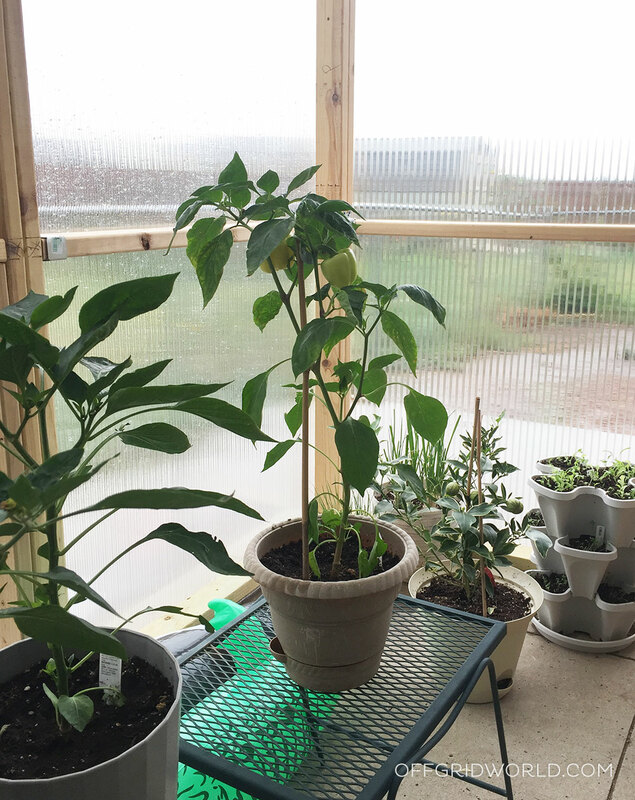 I absolutely love being able to step out into my greenhouse in the morning, barefoot, coffee in hand, no matter what the weather is doing outside. There are two heat-related advantages that come with a greenhouse attached to your house. 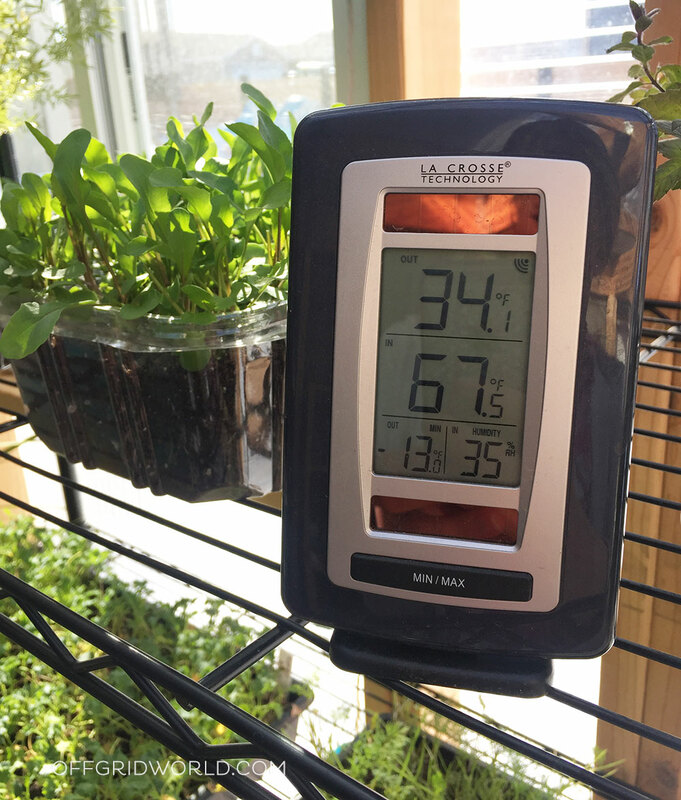 First, when temperatures are frigid, your greenhouse is likely absorbing some of your home’s heat through the wall, somewhat reducing heating costs if you plan to use your greenhouse year round. Second, and most exciting – attached greenhouses, if built in a location with optimal light exposure, can be used to passively heat your home in winter. 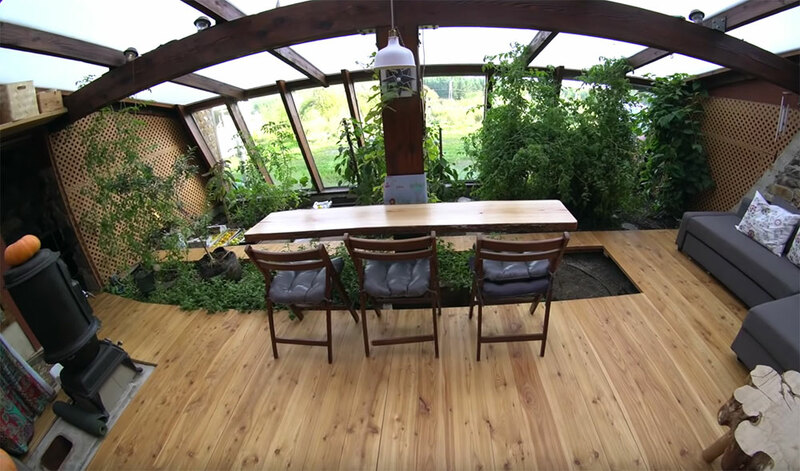 We’ve seen this in many of the earthships we’ve featured, and in this article featuring a small, lean-to greenhouse providing passive heat in a cold climate. We don’t use my greenhouse for passive heating since it’s attached to our garage, which we do not need to heat. But on sunny winter days it easily gets warm enough to provide some passive heat if it were attached to any living space on our home. An attached greenhouse adds an attractive element to any home. It feels like an extension of the house and can become an additional living space, like a sun room. My kids love spending time in our greenhouse on summer nights, listening to music and watching stars while protected from mosquitoes. It’s also an amazing place to hang out during rain and snow storms – warm, bright, and peaceful. One big disadvantage I have is that the location where I had to place my greenhouse does not get much morning light. It’s in a corner mostly blocked from sun on the south and east sides. In the summer, this has actually been an advantage, because it stays mostly shady in the morning and doesn’t get unbearably hot as fast as it would if it was on the south side of our house. I can grow plants all summer inside the greenhouse that are prone to garden pests, like brassicas. This same summer advantage had me worried about going through the first winter, though, since our days are so cold and short. 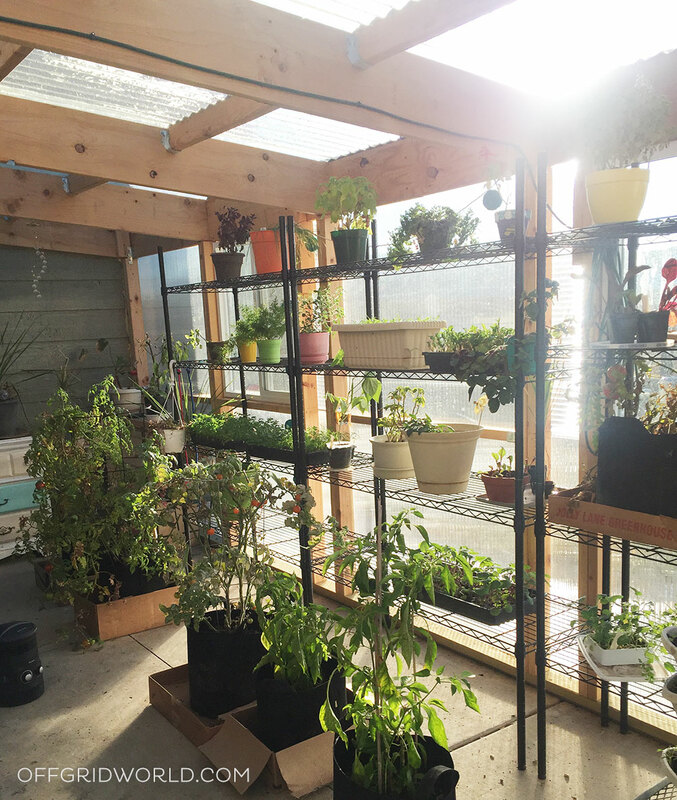 The greenhouse definitely does not get maximum winter sun exposure, meaning I am limited on some of the heating options I might have otherwise tried, like geothermal. As I mentioned earlier, we were hit with an unusually early freeze last fall that put a quick stop to outdoor growing. While my garden plants were shriveled to frozen remnants, the plants I was able to bring into the greenhouse were fine. 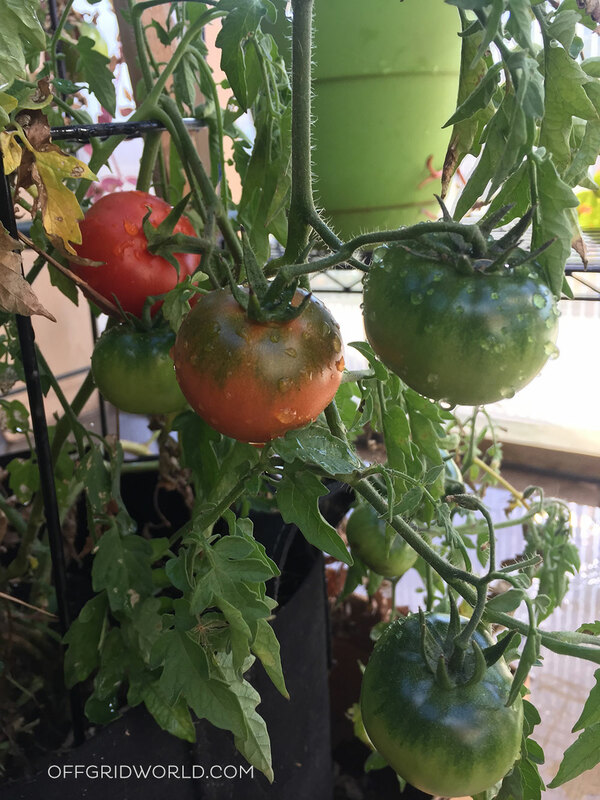 In fact, the heat-loving plants like tomatoes and peppers thrived and produced for several months after everything outside died off. Harvesting fresh, homegrown cherry tomatoes and peppers well into December is pretty impressive for our area! February brought us several weeks of record low temperatures – many days below zero with wind chills as low as -50 degrees. Yuck! 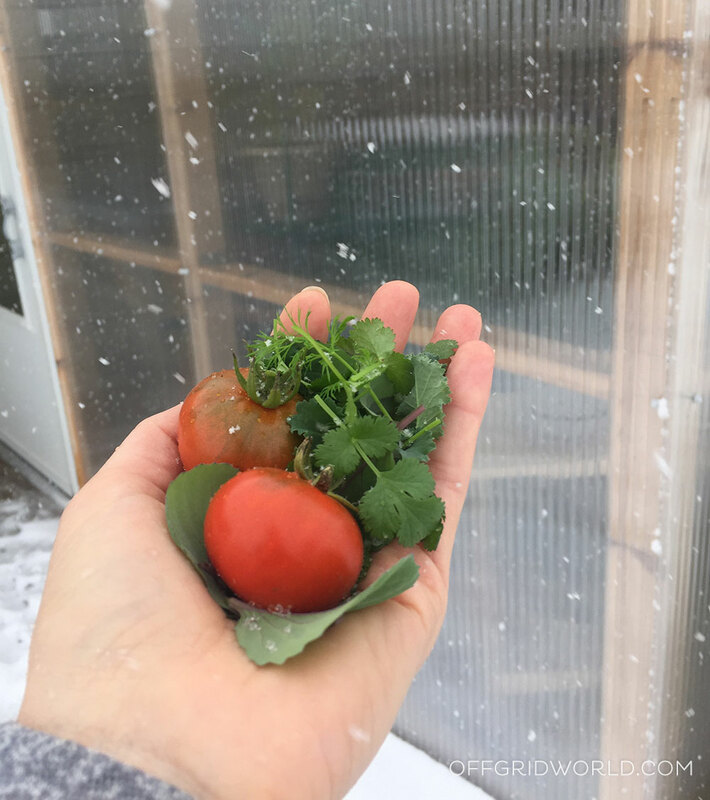 With some supplemental heat on the coldest nights, I was able to grow cold-hardy baby greens and herbs in the greenhouse all winter long. 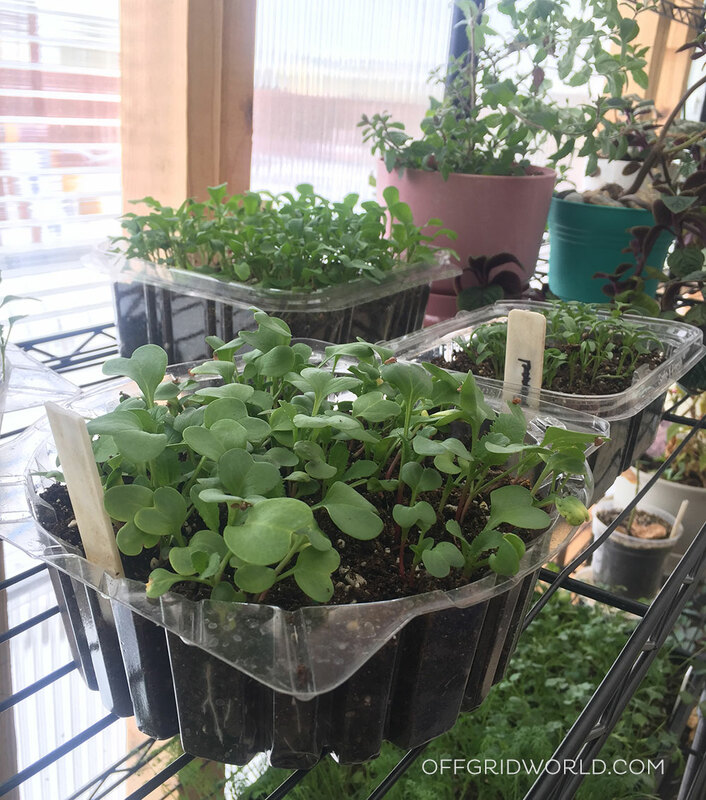 Several varieties of baby kale and cabbage, beet greens, cilantro, parsley, dill, and wheat grass not only survived all winter, but continuously produced even when temperatures inside the greenhouse dipped into the 20s. Coming up with an off grid heating solution will be a project for the future so I can grow more variety over winter. Have I convinced you yet to build a greenhouse of your own? I hope so! 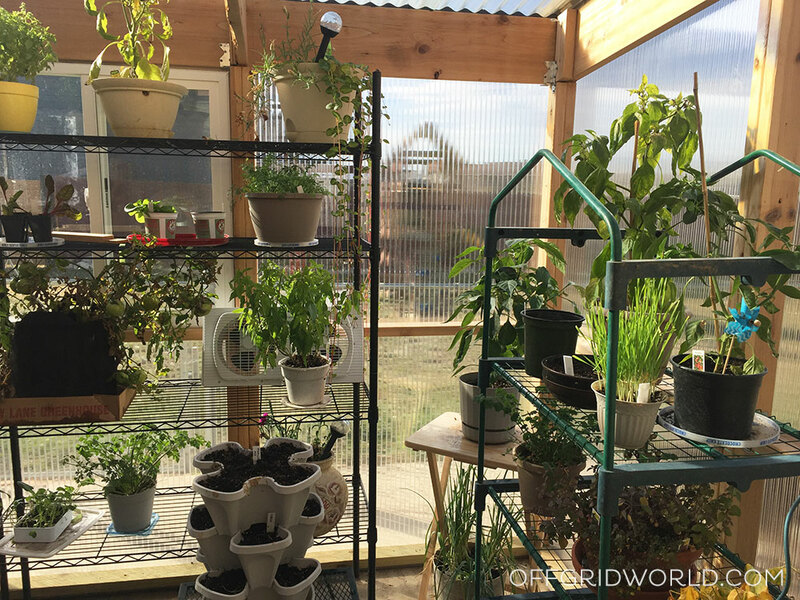 We live in an area with weather extremes and a very short growing season, yet our DIY greenhouse project has proven invaluable for getting the most out of our garden harvest. Stay tuned for another article detailing our exact costs and building process. We were able to build ours with high-quality materials for less than you might think. Like this article? Subscribe to our newsletter to get more great content and updates sent to your inbox! 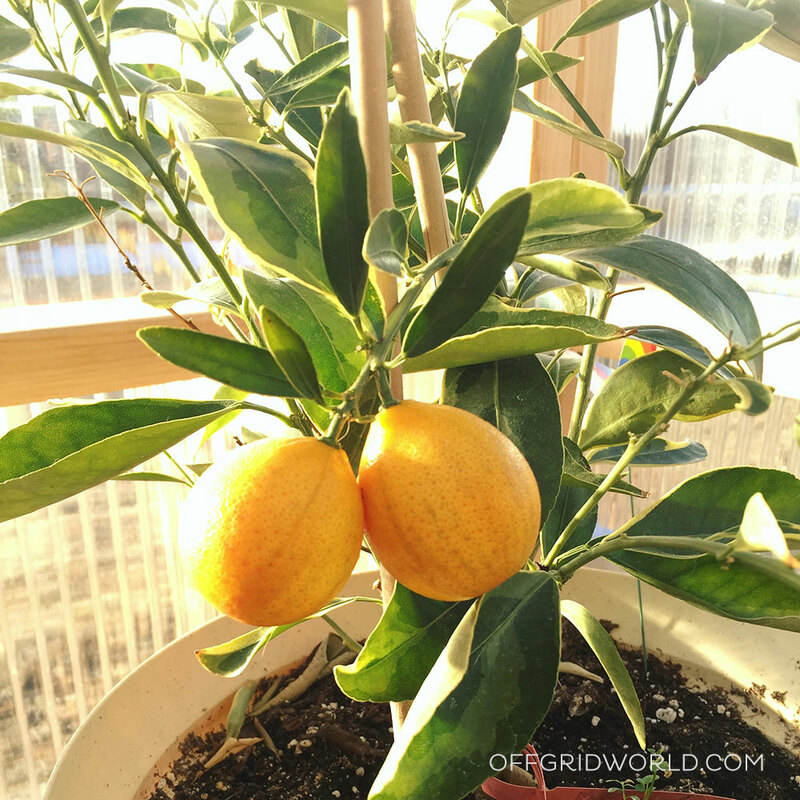 Today, many people are pursuing the off grid lifestyle for a myriad of different reasons. For some, the money saving benefits are most appealing, while others simply wish to have energy security in the event of a power outage. Either way, both of these advantages are part of an off grid lifestyle. However, the reality is that most homes are not designed to operate well off grid, so it’s a wise idea to do things in a stepwise fashion. That way you can make changes on a budget and without the need of investing a lot of money all at once. As a result, the best place to begin is with the changes that will have the biggest impact on your finances and energy security, which are typically heating and cooling. Combined they are the biggest energy cost for the average household, accounting for a large proportion of the annual energy bill. Prior to thinking about what heating systems would be best suited for your home, it’s extremely worthwhile to consider the steps you can take to improve your home’s efficiency. This will do two things: help you to reduce your energy usage and make the most of the energy you do use. The best part about this process is that it’s extremely affordable and requires very simple materials. For instance, it means inspecting your home for drafts, making improvements to your home’s insulation, and installing a thermostat where possible. Draught-proofing, or draft-proofing, is the best place to start. 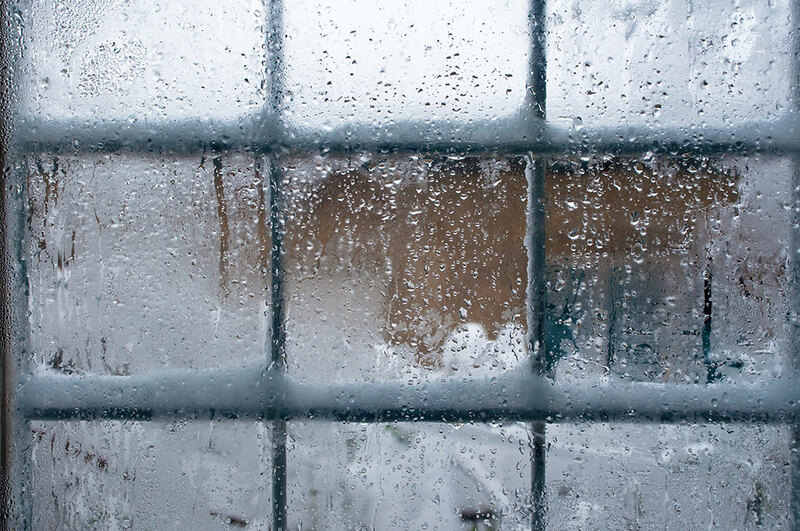 Drafts are cold currents of air that can cause considerable heat loss and cold pockets within the home. They regularly come from the gaps around doors and windows, as well as venting and the holes commonly found around pipework. You can easily draft-proof your home as a DIY project; simply go around your home looking and feeling for drafts and then do what is required to patch them up. For example, if you find drafts around your windows and doors you can install excluders and strips, which can be sourced very cheaply from all good hardware stores and online. 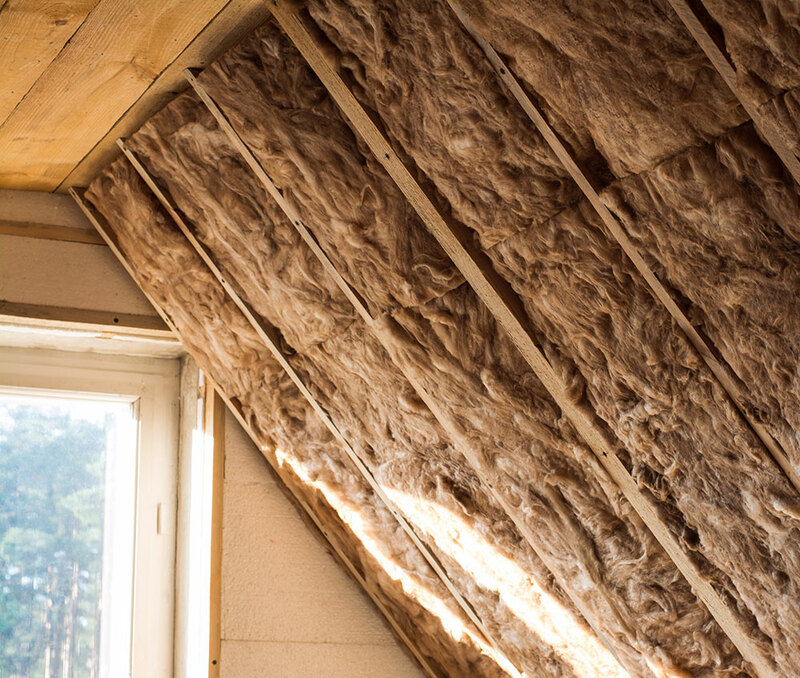 Insulation is also extremely useful at limiting heat loss in your home, as it ensures heat is kept in your home for as long as possible before it is lost to the external environment. The roof is the biggest culprit, with a staggering quarter of all heat generated lost through the roof, so it should certainly be prioritized. To do this you can use rolls of fiberglass and other insulation materials that you simply lay down in the attic. Another key place to insulate in your home includes water pipes, since un-insulated pipes can result in you having to use your water heater more often. To do this you can very easily wrap foam around the pipes that snap into position for a secure fit. 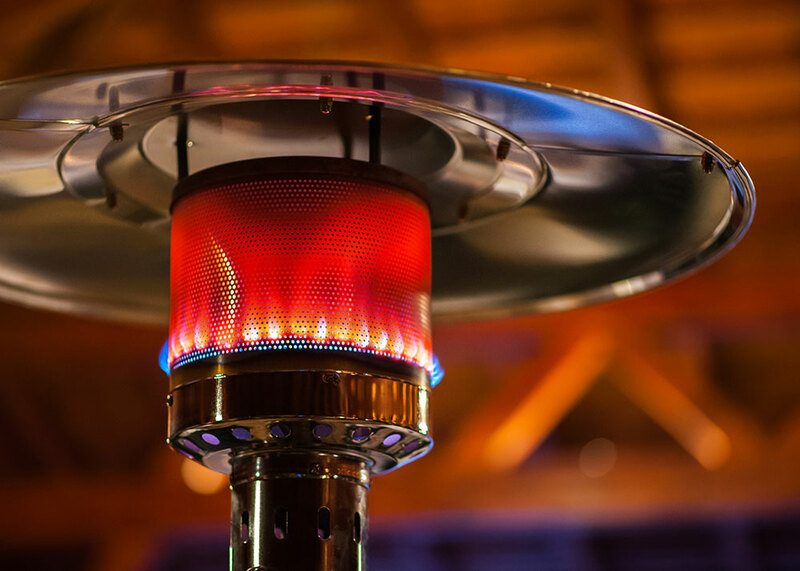 Once you have improved the energy efficiency of your home you can begin thinking about the best types of off grid heating systems. There are a variety of options available, each with various pros and cons. These include wood burning stoves, active solar heating, propane gas, and other carbon based fuels such as gasoline, coal, oil and diesel. The type of heating solution that is right for you will depend on a wide variety of factors; these include your local climate, heating requirements, access to fuel, and size of your property. Ideally, you should have more than one option available, that way you will always have a backup heat source and won’t ever have to rely on a single source of fuel. With that in mind, here are some of the best types of heat sources for off grid living. Firewood is relatively easy to access throughout the country and the cost per cord can be very good in comparison to other types of fuel. If you have enough land, you can potentially harvest and re-plant your trees on an annual basis. Wood is also a great fuel source since you can harvest it and store it yourself, potentially giving you access to a 12 month fuel supply on your own property. That’s certainly a lot of fuel security. The best types of wood to burn for heating purposes are the dark woods, such as oak and elk. These are very dense woods that will provide a longer and more consistent burn, whereas as soft woods such as pine will burn quickly and unevenly. 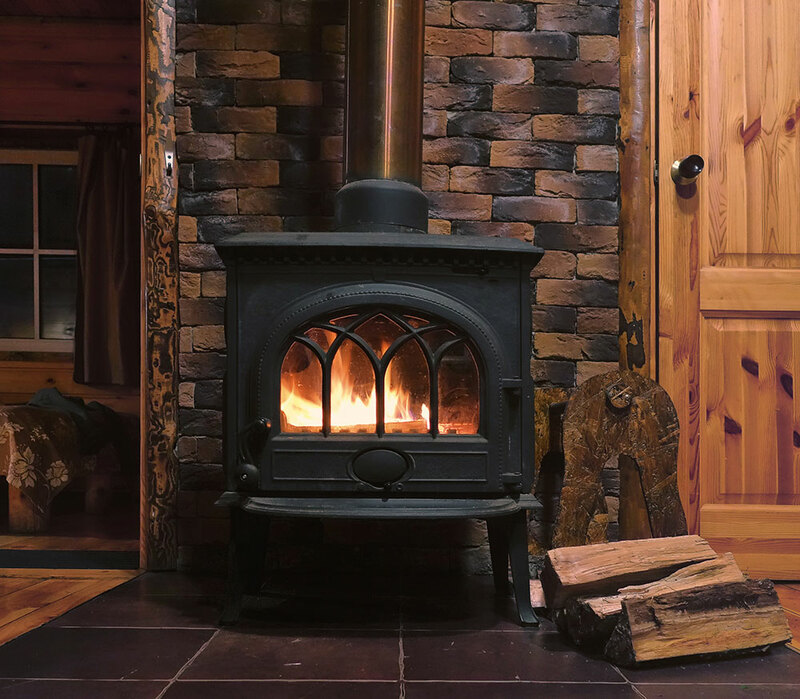 Common wood burning appliances that are ideal for off-grid living include the likes of wood burning stoves, furnaces, and fireplaces. In particular, wood burning stoves remain popular for off grid living as they require no electricity, can provide that homely aesthetic, and are able to generate a good amount of heat. They are also relatively cheap to buy and install. Unfortunately, there are some disadvantages to stoves, namely that they need to be cleaned and maintained as ash and creosote deposits gradually build up within them. They also require a certain clearance area, so may not be suitable for very small homes and unlike other heating appliances they also need a good amount of supervision. For example, you can’t just leave the house if your stove is burning and you will need to regularly feed more wood into the burn pot to maintain the heat. Still stoves can provide a good amount of nice, dry heat and are certainly reliable. Propane is a gas fuel obtained through the processing of crude oil, along with kerosene, gasoline, and diesel oil. It’s particularly useful as an off-grid fuel since it’s so versatile and can be used for a wide variety of different appliances including propane space heaters, generators, and cookers. Most propane heating appliances also have thermostats, which are certainly useful as it means you can control the amount of energy you use and when. Another major advantage of propane is that it is extremely energy efficient, which means you can acquire a lot of energy for the amount of gas burned and it is also considered a “clean fuel” in the Energy Policy Act of 1992. Propane is also a great fuel as it doesn’t degrade at the same rate as other common off-grid fuels like gasoline and firewood. As a result, this fuel is a great choice for long term storage, which is ideal in a SHTF scenario. Unfortunately, there are a few disadvantages to propane fuel, mainly safety concerns. For example, pressurized propane tanks can be quite hazardous if not handled or stored correctly, particularly if stored in large quantities. In addition, the cost of propane can vary widely depending on which part of the country you are located in, and propane appliances can be quite difficult to repair, often requiring a high level of knowledge and/or training to handle. Solar powered heating is another good heating option for off grid living, but it must be said that it is only really viable for those that get substantial amounts of daylight hours. Therefore, it shouldn’t be entirely relied upon by those that live more north of the equator, where availability of sunlight is going to be limited. Still for some it can be a superb option for warming the home. 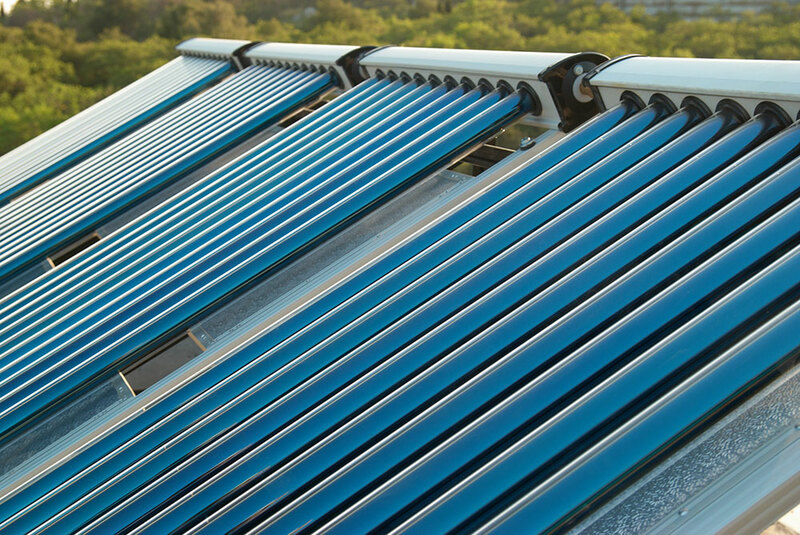 Active solar heat is one such method and involves the use of copper painted pipes filled with water. Essentially, this set-up is placed in a location of the home that gets a good amount of sun exposure. The thermal energy from the sun will then be absorbed by the water, becoming warm and in turn will flow to wherever the pipework is installed. This system is not passive, as a pump is required to control the flow of water, hence why it is called active solar heat. It works much like a conventional water heating system, except instead of a gas or electrical water heater; the suns natural rays are used. The downside to this system is that it requires substantial amount of daylight hours to be viable and is an active system so requires some power to keep the pump running. This set-up is a little more complicated that the ones mentioned so far and the results can be incredibly variable depending on the amount of biomass you have access to. 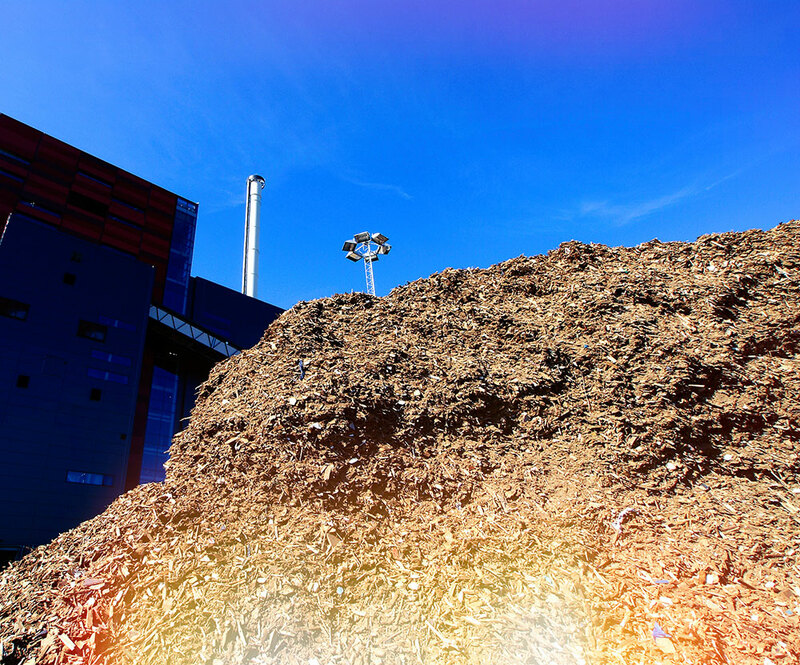 Still, biomass is a great way to make the most from your waste. Much like a compost heap, this process involves collecting all materials that will naturally be degraded by microorganisms, e.g. 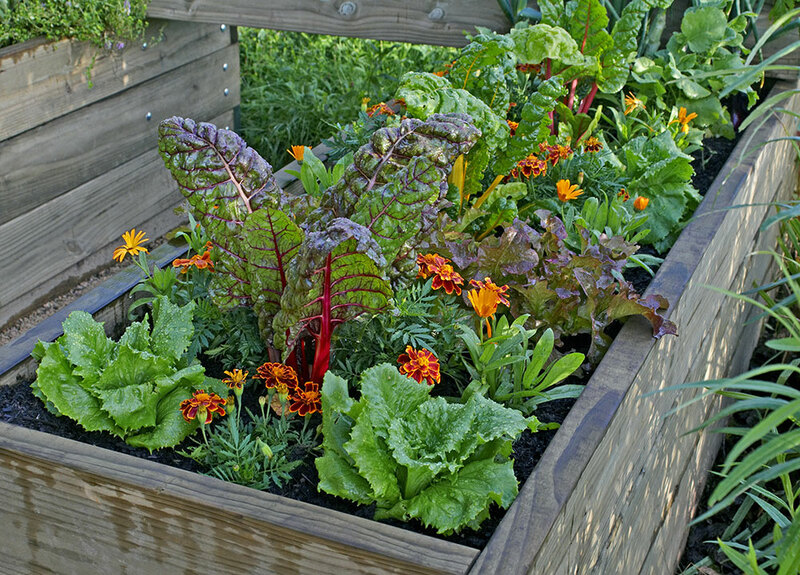 leaves, manure, wood chips, compost, corn, and grains and placing them in a single location. However, you will also strategically install multiple coils of pipe inside the compost bin, which will absorb heat that is released during the biodegradation process. This can then be used to heat water or even be fed into a greenhouse to help maintain its temperature. Again, this certainly won’t heat your entire home, but it can provide some use. 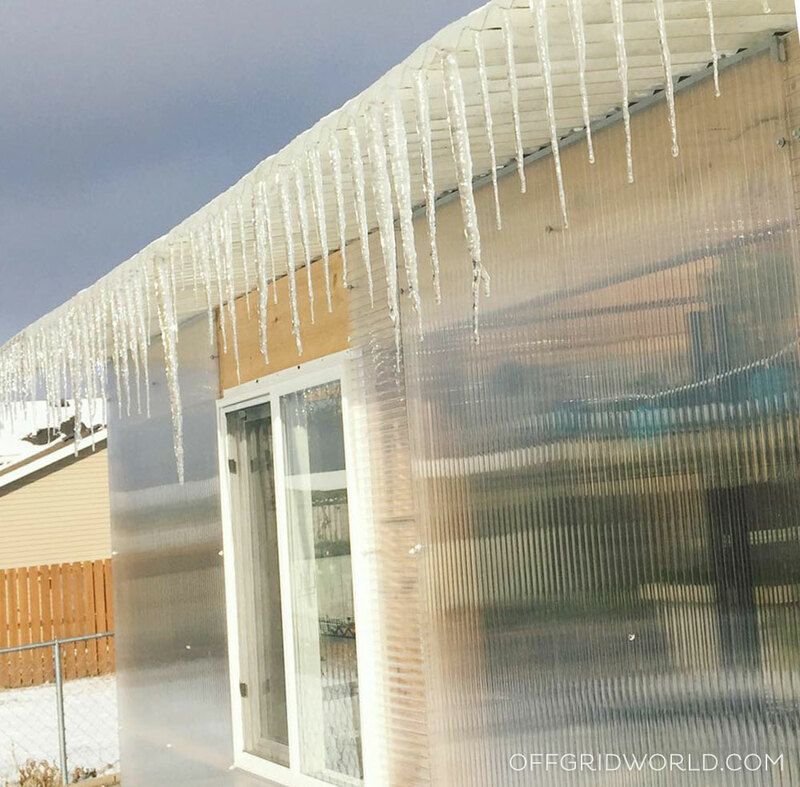 While there are plenty of methods for heating your home off grid, hopefully this gives you some ideas. A combination of one or more of these along with ensuring you’ve maximized your home’s efficiency will go a long way toward reducing heating costs. 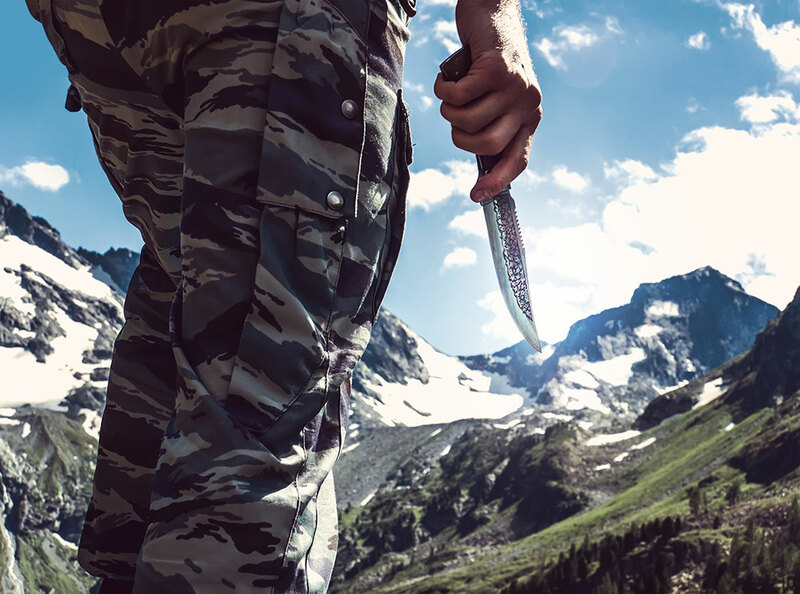 A knife is an essential survival tool that you should always have when heading out for an outdoor adventure. It is both a knife and weapon, depending upon the situation you are in. If you are a minimalist who would prefer to only carry a single tool that does most of the work, a survival knife is your answer. When looking for a knife to add to your gear, make sure you pick a quality knife that will protect you from danger and help with other tasks at the same time. A knife is a really versatile tool to have, and you should know the different ways it can help you. When you are in a critical situation, a good survival knife can be indispensable. It is a great idea to carry survival knives with you while camping. You might not always have matches, flint strikers, or other fire-starting devices when in the woods. 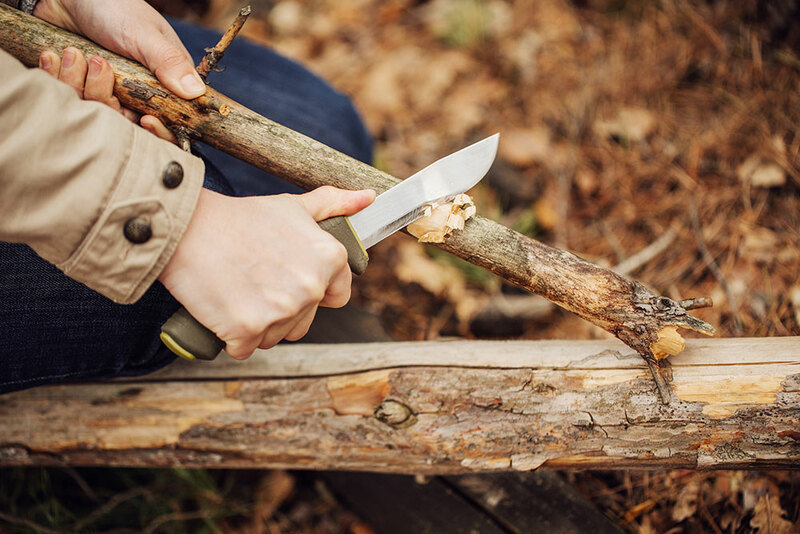 Your survival knife can be used to produce sparks through bow drill, though you will need the right type of wood and should be aware of how the procedure works. You can also start a fire by striking the knife blade against stones to create a spark. Keep the tinder right next to the knife so that it catches. You can also use the knife for gathering tinder for a fire. You can use tinder when the weather outside is moist and starting a fire is difficult. The survival knife is really helpful when you have to chop vegetables or other food items while in the wilderness. A high-quality knife will also help you get anything out of your way. For example, if you are taking an off beaten path blocked by vegetation, your knife can help you clear your path. It really is an essential tool that you must have during all your outdoor adventures. Make sure to opt for a knife that is significantly sharp for chopping. If you do not have a shovel while you are in the woods, then you can use a knife for the same. It can help you dig out roots of plants, create a fire pit, dispose of waste, and even carve out signals in the dirt. A sharp knife can help you do anything that you can do with your shovel. Batoning is a technique of cutting or splitting wood with a knife and mallet or other stick. 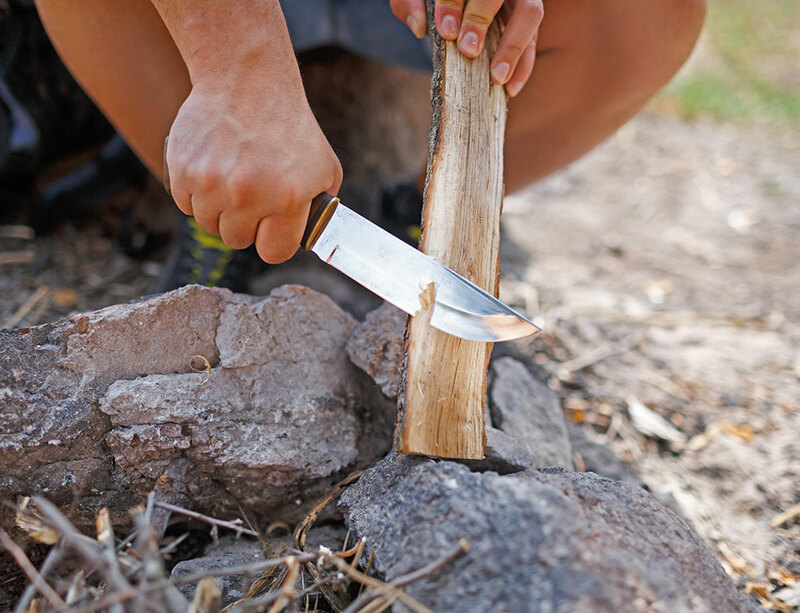 While it can be difficult to picture cutting wood with a knife, a sharp survival knife can actually do it. 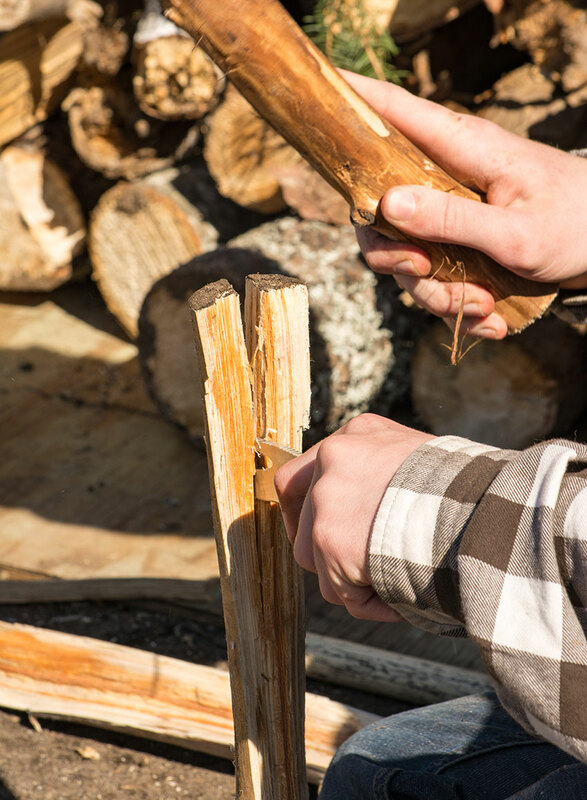 You can cut and split wood you need during your outdoor adventures. Pick a knife that is rigid and high quality for this purpose. A plain knife would simply break under that stress, but a top-notch survival knife will do the trick. Your survival knife can be a huge factor in self-defense. With it, you can ward off wild animals and, in the worst case, even human attackers. It might seem all fun and adventure stepping out in the wilderness. However, you should always be alert and watch out for potential threats. This is very important when you are camping with the family. When you are in a need of a good self defense tool, a survival knife will never let you down. Outings into the wilderness have their pros and cons. There is a possibility that you might get bruises, cuts or injuries. A survival knife can aid in first aid by cutting bandages or splints to apply to wounds. You cannot take your safety for granted and a survival knife is indeed your best ally. A survival knife can be truly versatile, and if you do not have a saw or a hatchet then it comes in handy when you need to build a shelter. You can use it to cut wood and other materials that you might need. The knife also helps when putting a tent together. When you are camping outside, tree sap can be really useful as a food source and for its anti-inflammatory properties to heal wounds and cuts. 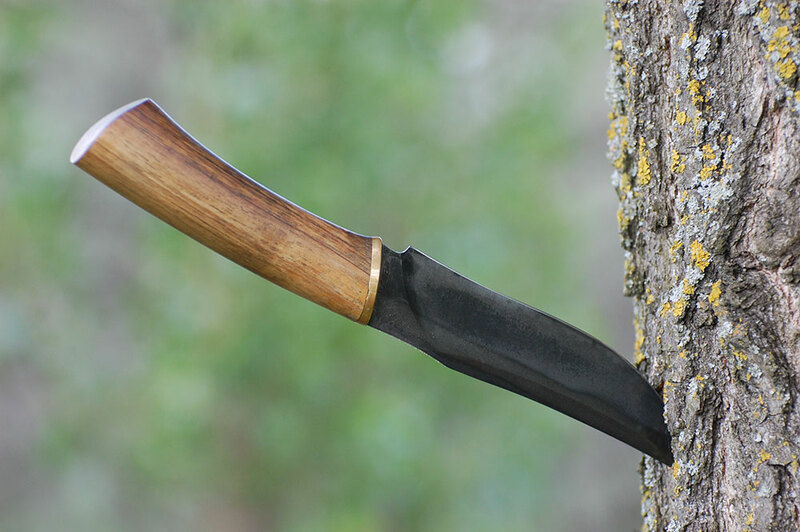 A survival knife can help you tap sap from the trees. A very sharp knife will do the job. Your survival knife can help you hunt for animals while you are in the wilderness. Just attach it to a pole and use the tool as a spear to attack animals. The same knife can then be used to skin the animals, cut through their joints, and prepare the meat for cooking. It can also come in handy for catching and preparing fish. If you have forgotten to pack a screwdriver in your survival kit then a survival knife can do the job. You never know when you might need one, as nothing is predictable in the wilderness. Use a survival knife to loosen or tighten screws when needed. In addition to all of the above, you may also use your knife for signaling if you get lost. This can either be done by starting a fire or using the knife as a signal mirror. In a time of peril, you might have to seek help and the survival knife will surely assist in doing so. A shiny knife that can reflect light will enable you to alert the rescuers nearby so that they can spot your location and send help. As you can see, a survival knife can help you in a variety of ways. It is an all-in-one tool which you should carry with you any time you venture into the wilderness. Your knife can act as a hunting knife, a spear, or even a hammer when need be. 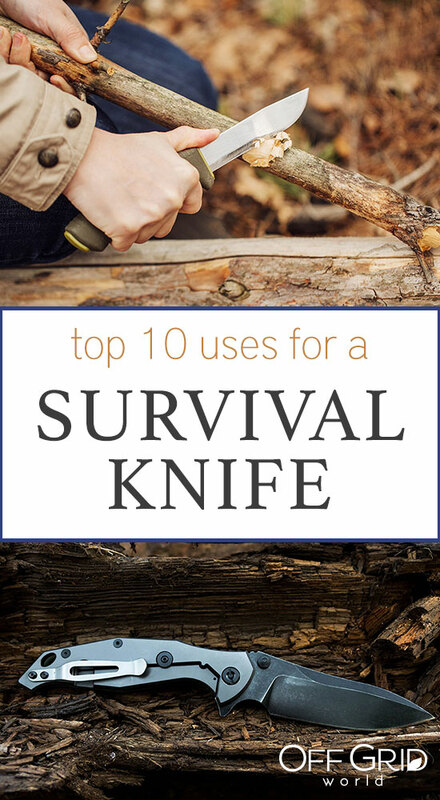 If you are planning an outdoor trip into the woods, be sure you have a survival knife on your list to take with you. Having been on the Perkin Knives team for several years as a marketing executive, Billy has been part of a great many top-of-the-line projects. Not only has he personally contributed to the service in every way, but he also happens to be one of the most revered members of Perkin Knives. News about so-called superfoods is everywhere, touting their abilities to do everything from relieving pain to preventing cancer. But what is it that makes these foods so super? These foods are all packed with exceptional levels of nutrients that punch way above their weight when it comes to health benefits. While some of the most famous superfoods like olive oil and green tea don’t just grow in the backyard, others can and will. 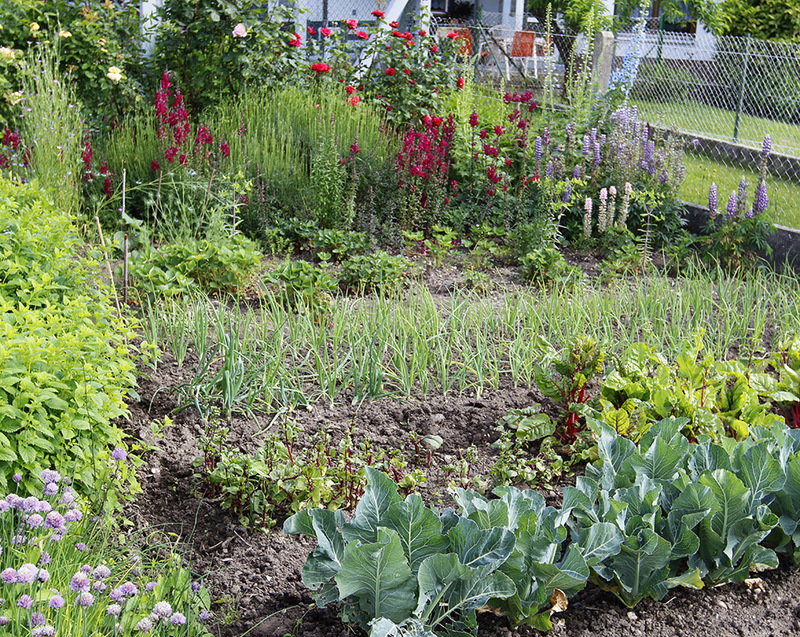 Read on to learn how to grow a superfood garden of your own. The most successful gardens begin with strategic planning. Start by making a list of superfoods, then narrow it down to plants that you know will grow in your plant hardiness zone. Source the seed and rootstock of plant varieties you want to plant and determine how many you can feasibly plant. 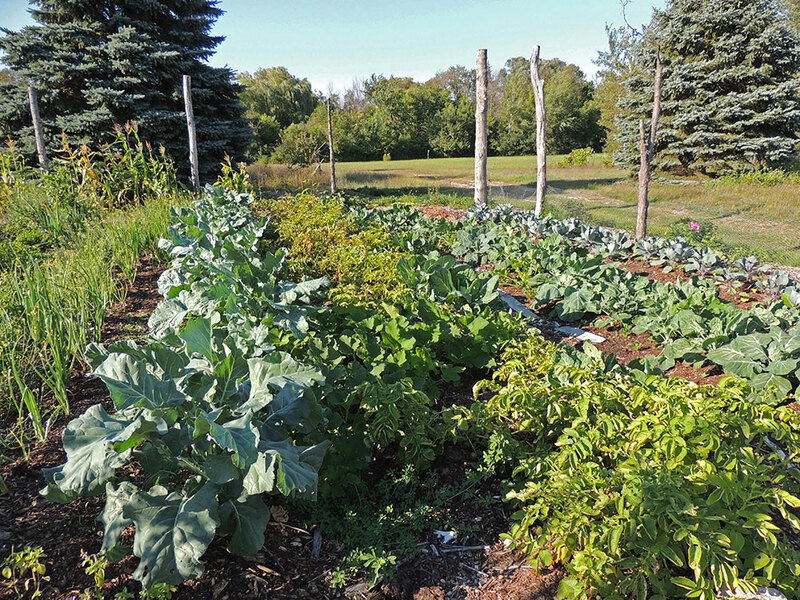 Using graph paper and a ruler, make a scale drawing of your garden plot. Map out the diameters of your plants at full maturity and use those dimensions for your plan. This is the best way to figure out how much space you’ll need. If you plan on planting trees, you should plant them as soon as possible and on the northern edge of the garden. You don’t want them casting long shadows across your beds as they grow. That could deprive the vegetables of vital sunlight. Stagger your plants. You don’t want long rows of a single variety. This will increase the resilience of your plants against pests and disease. (More on that later). The list of superfoods is long, but there are a few superstars that you can easily grow at home. Blackberries and blueberries are favorite superfoods, recognized by their intense pigmentation (many superfoods are vibrantly colored). Their nutrient loads are also wrapped in sweetness. Full of antioxidants and phenolic compounds, these berries help protect the brain from aging. They also fight cancer and disease. 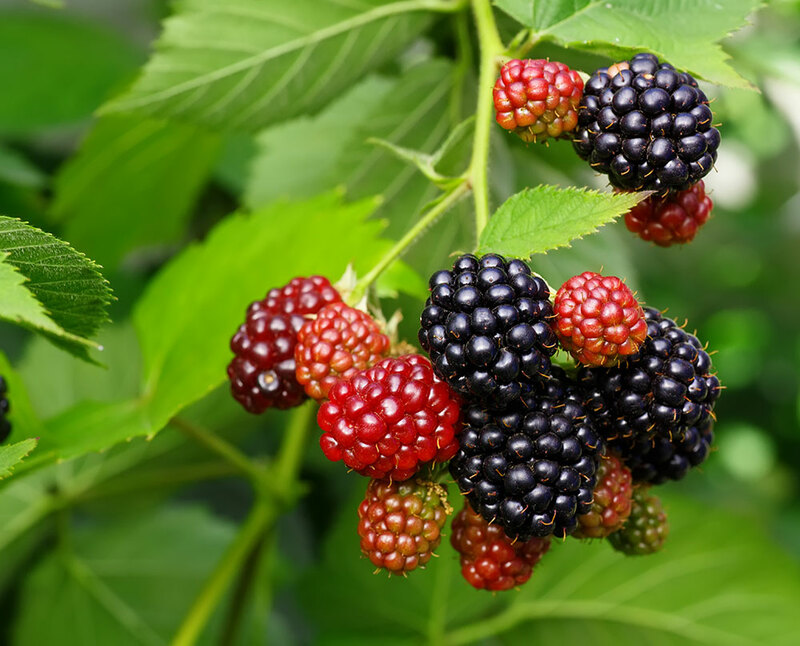 Blackberries are easy to grow along fence lines – some might say too easy. Once you establish them in a sunny spot, they can be hard to get rid of. Plant a thornless variety if you prefer a painless harvest. 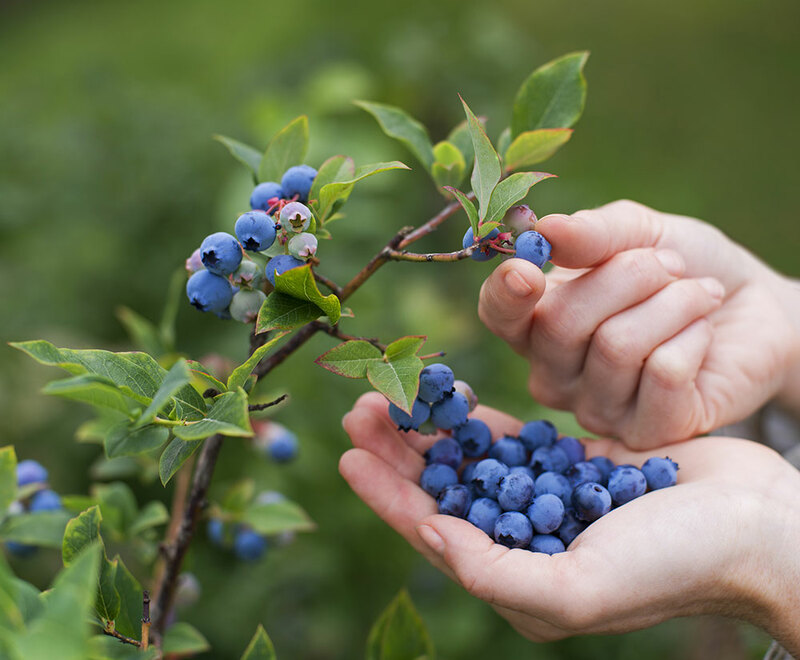 Blueberries, on the other hand, grow in bushes that thrive in acidic soil. Mulch with pine needles and coffee grounds and use a fertilizer designed for acid-loving plants and you’ll have all the berries you can eat each year. This family spans a range of veggies renowned for their healthy properties. The superfood standouts are broccoli, brussels sprouts, collard greens, kale, and turnip greens. 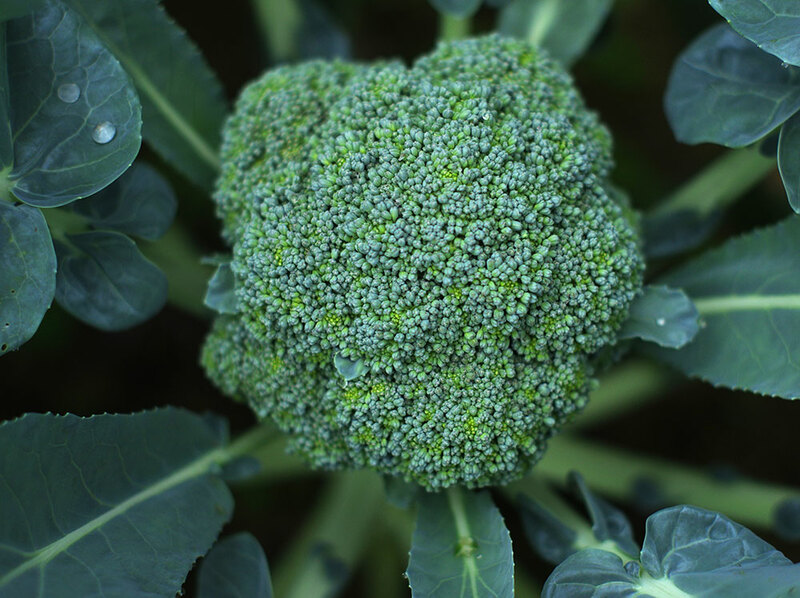 Crucifers contain mighty compounds and nutrients like sulforaphane, carotenoids, vitamin C, copper, and omega-3 fatty acids. These nutrients improve skin tone, reduce inflammation, and increase collagen. They also improve heart health, boost hair growth and reduce the risk of cancer. The good news is that no matter what zone you live in, there’s a fruit tree that will grow there. Apples are the unsung heroes of the superfood world. They reduce the risk of diabetes, aide in digestion, and prevent degenerative brain diseases. Papayas are tropical trees that grow rapidly and yield vibrant orange fruits that also help digestion. They also help control blood pressure and combat oral and throat cancers. Grapefruit can help improve liver function, help prevent breast cancer, and fortify the immune system. Pomegranates are celebrated for improving circulation, slowing the growth of prostate cancer, and reducing levels of unhealthy cholesterol. 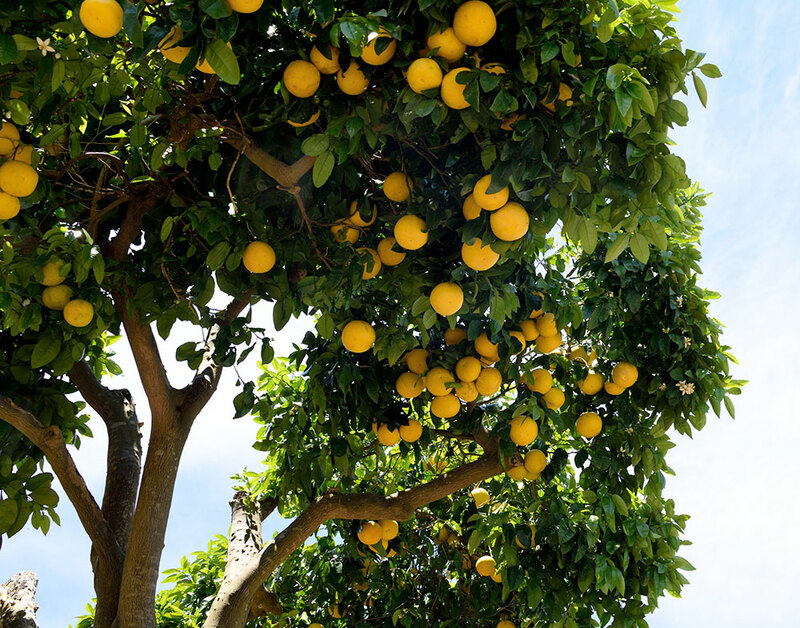 Fruit trees need a little more room than vegetables but will thrive planted on the northern perimeter of a garden. The space they require is more than made up for by their longevity and productive capacity. Beans and peas come packed with mega benefits: they reduce blood pressure and unhealthy cholesterol while helping manage diabetes. Beans are easy to grow and will yield more than you can possibly consume. 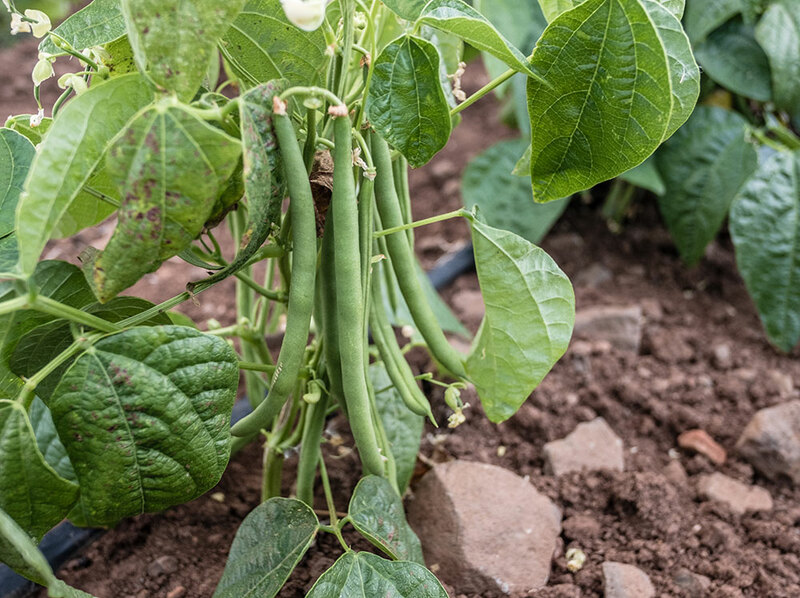 You can let bean pods mature and dry on the plant to save for the stewpot later. Just make sure you give peas and climbing-type beans something to climb on. If you have a garden, chances are you’ve already been growing this superfood. 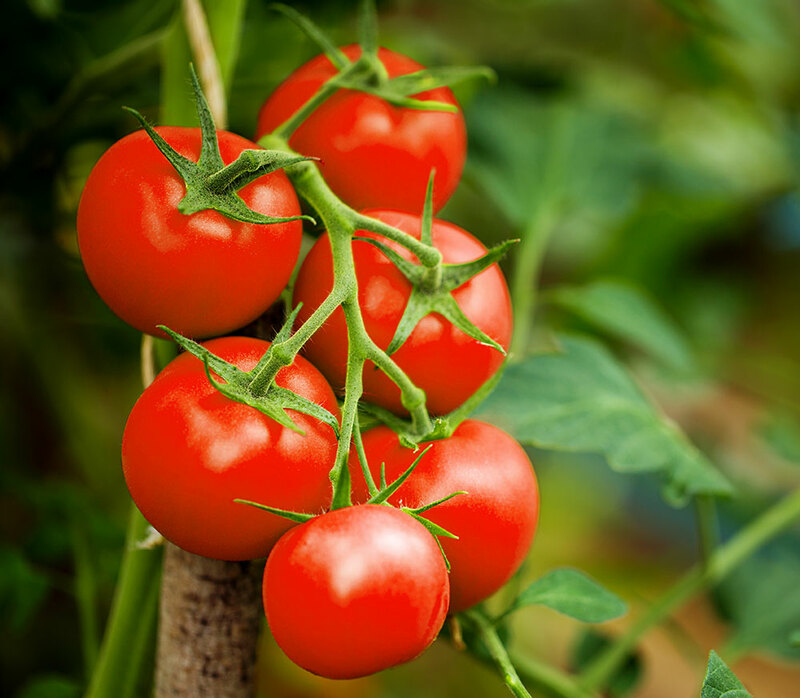 Rich in lycopene, potassium, and vitamin C, tomatoes improve sleep and memory, support heart health, and preserve brain and nerve tissue. Some of the most savory of the superfoods grow out of sight: garlic and onions, ginger, sweet potatoes, and turmeric are all subterranean stars. Garlic and onions are bulbs that help bolster the immune system and help with cardiovascular health. They can be grown in most temperate climates. 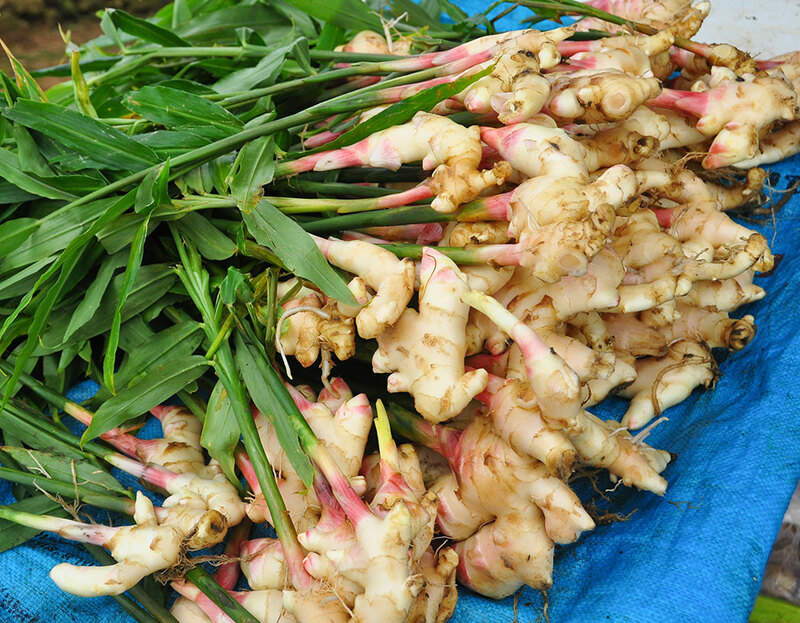 Ginger and turmeric are both heat-loving tropical plants that don’t mind high humidity and rainfall. Ginger is good for stomach aches and nausea, and turmeric is an anti-inflammatory also known as an antiviral. Sweet potatoes are easy-to-grow tubers packed with antioxidants that help to regulate blood sugar. What’s more, their leafy vines are delicious, nutritious, and abundant. Once sweet potatoes are established in your garden, you can expect them to come back every year because it’s nearly almost impossible to harvest every last one. Some herbs are considered superfoods, which is good news because interplanting them in the garden can help combat pests and improve yields. They’ll also repel pests and attract beneficial insects. 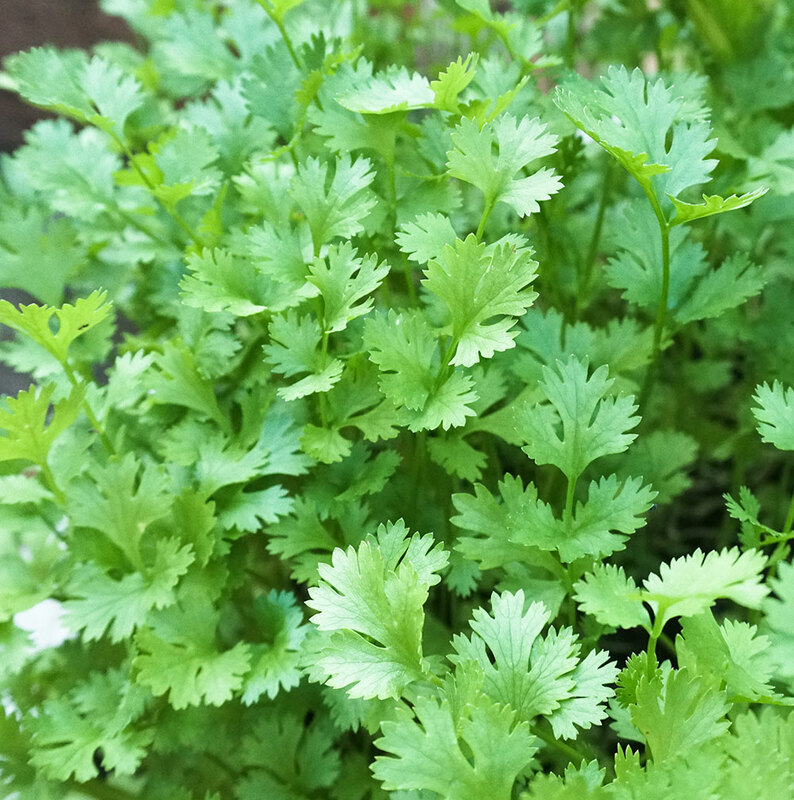 Cilantro is great for weight loss, as it promotes the metabolism of fat and lowers blood sugar levels. Chamomile increases the nutrient content and improves the flavor of vegetables. It can also be harvested and dried for tea. Mint is a fabulous digestive aid that helps ease stomach pains and may have cancer-preventive properties to boot. Mint planted throughout the garden can help to keep ants, mosquitoes, and mice at bay. Parsley is not only delicious but also high in antioxidants and supports healthy kidney function. Sunflowers, while not exactly an herb, deserve mention here. Their towering blooms are a joy to behold, and they also repel aphids and lure pests away from vegetables. 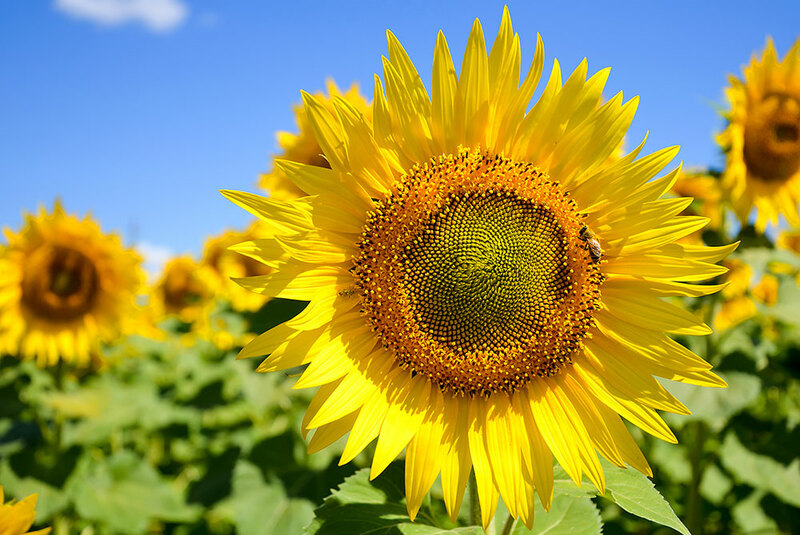 Harvest young sunflower shoots as a nutritious green, or harvest at the end of the season for their delicious seeds full of nutrients that support heart and nervous system functions. If you’ve never grown a garden before there’s a lot to learn, but none of this knowledge is hard to put into practice. 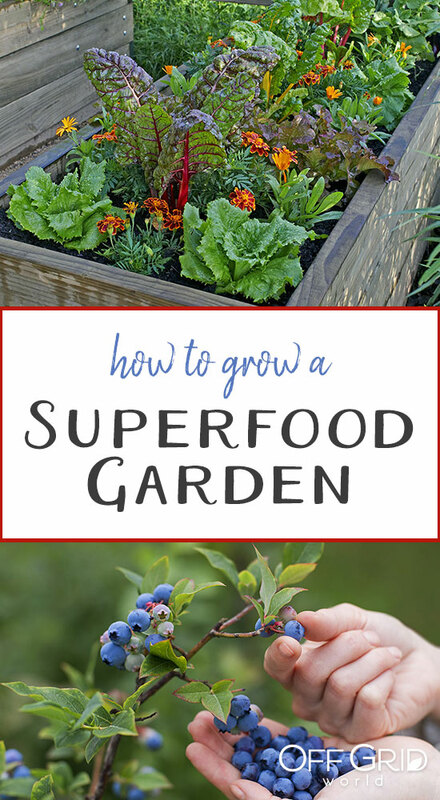 All gardens give great rewards, but if you learn how to grow a superfood garden, those rewards are multiplied many times over. Natalie Baker is a freelance writer who enjoys splitting her time between her Denver apartment and an organic farm near Steamboat Springs, Colorado. She spends much of the year growing her own vegetables and raising chickens. 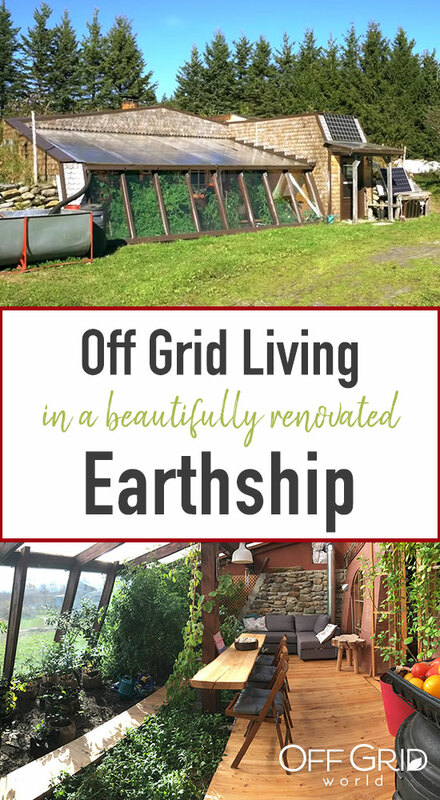 Based in a remote village in Quebec, Canada, Marie and Francis live off grid in this beautifully renovated earthship. 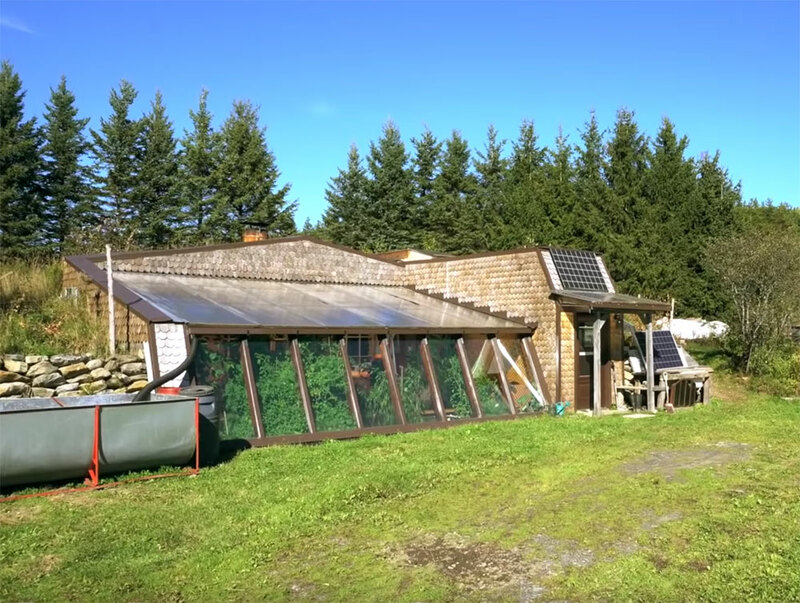 They grow their own food, collect rainwater, utilize solar energy, and live mortgage-free. 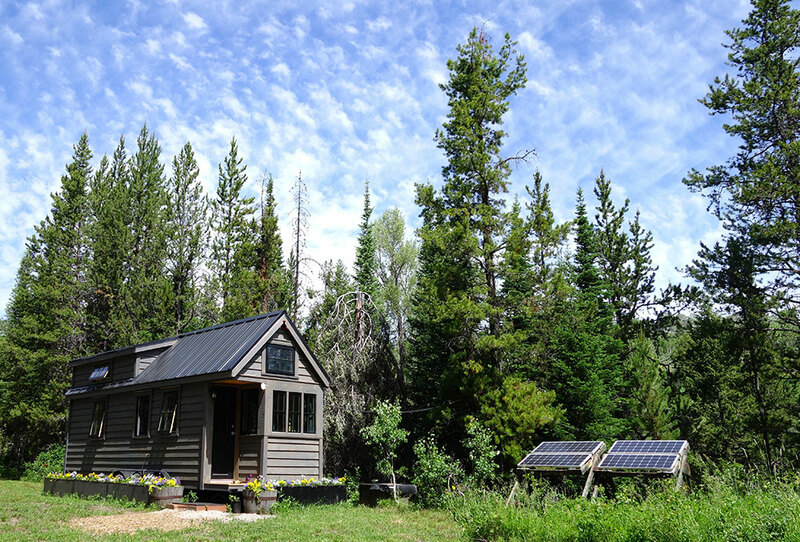 Their sustainable lifestyle is incredibly inspiring to those seeking a life off the grid. The couple purchased the land and home – built 30 years ago from rock found on the property – very inexpensively. The house required extensive renovation, which they did over several years of commuting to the property from the city on weekends. They added a large garden where, in addition to the attached greenhouse, they produce much of their food. Francis and Marie now reside in the home full time with their daughter. Other than buying a few staples such as yogurt and cheese, they grow their own fruits and vegetables, raise chickens for eggs, and bake their own bread. The greenhouse, in addition to providing an area capable of year-round food production, is a beautiful indoor living space. 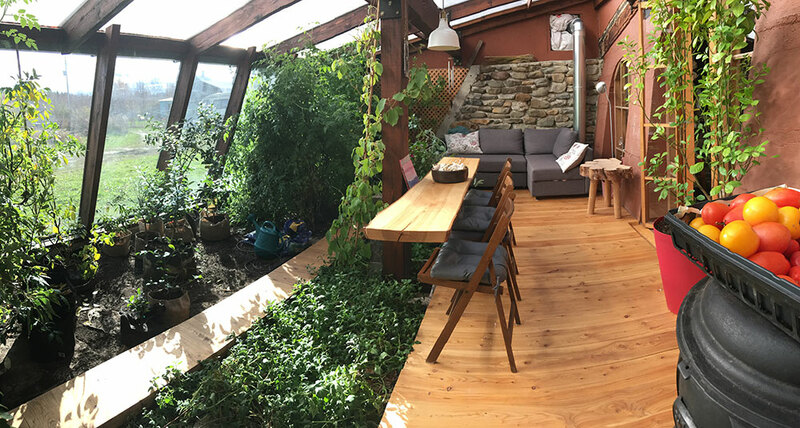 In fact, the greenhouse is actually their living room, and is also a place for the family to sit and enjoy meals together. The home is about 100 square meters of living space – approx. 1076 square feet. The couch in the greenhouse doubles as a bed for guests. 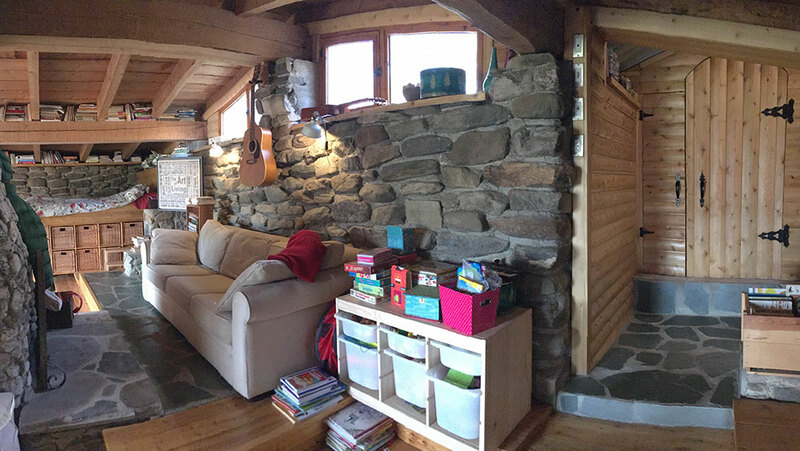 The main room of the home holds a lofted bed for the couple and a bed for their daughter, in addition to a wood stove and storage areas. 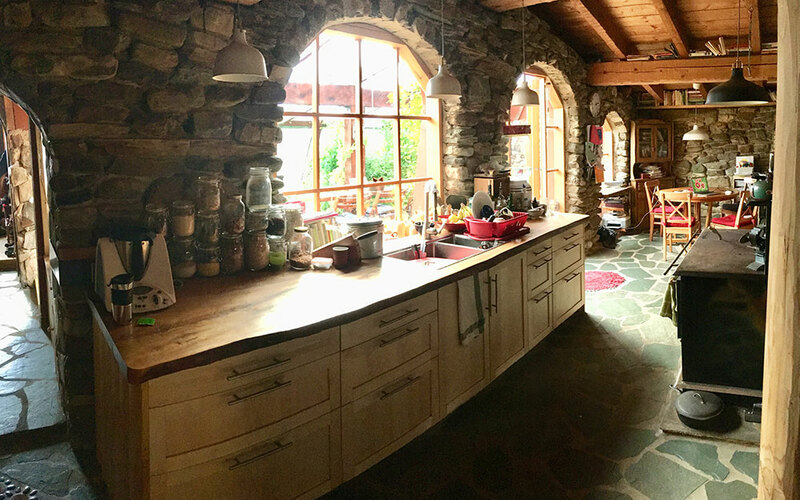 The spacious kitchen and dining room look out to the greenhouse through large windows that help to light the home. 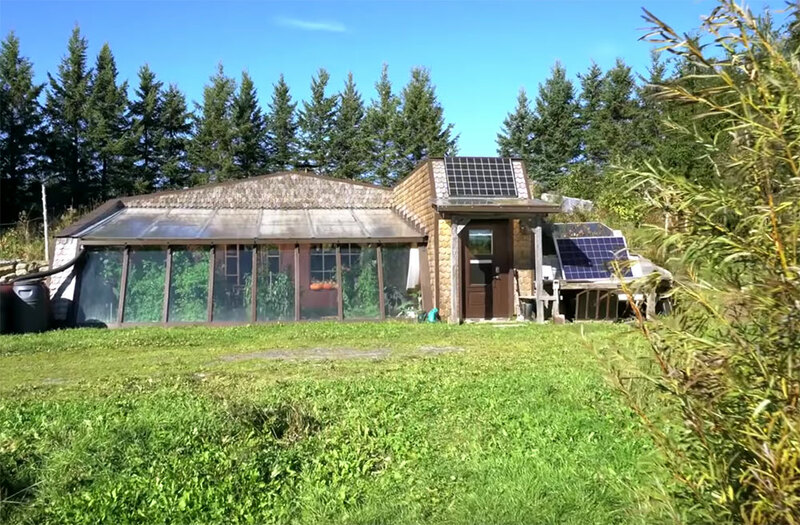 Now that they live in their off grid earthship full time, the couple is able to dedicate more time to growing, preserving, and preparing their food. A root cellar off the back of the home provides ample storage space to help preserve their harvest for year-round use. Power to the home comes from a solar panel array connected to two battery banks. They say their system is very simple, and has room to grow, but is very effective for powering their essentials. Water is collected in large tanks, primarily from drainage off the roofs of the home, the greenhouse, and the shed. This water is used to water the garden, the chickens, and for other uses around the home. Their drinking water comes from a well at a nearby cabin. There are two bathrooms attached to the home, each with a composting toilet. Greywater from the shower and sink is drained into a pond where is it filtered by plants. The home is primarily heated by the sun via passive solar heat through the greenhouse. 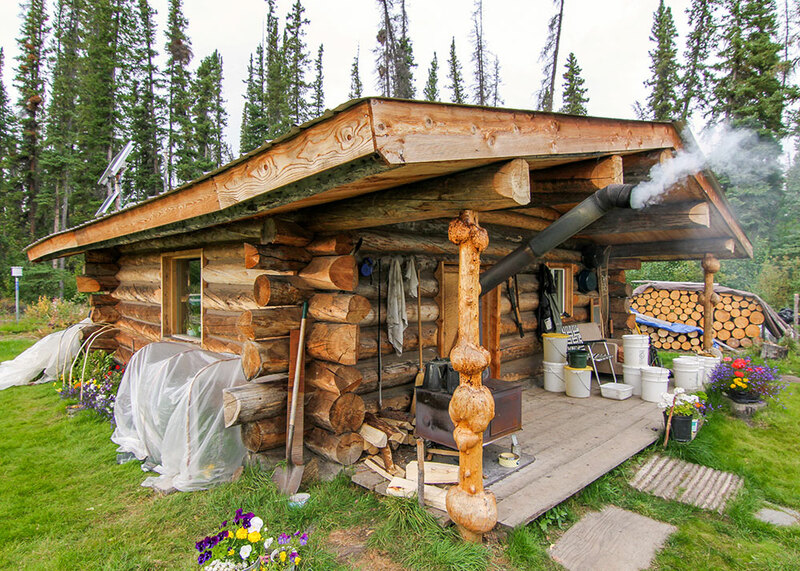 A wood stove is used for supplemental heat as needed, in addition to providing cooking heat and running the water heater. On sunny days, even during the coldest months, the home stays comfortably warm from the heat the greenhouse produces. In addition to managing this beautiful homestead, Francis, Marie, and their daughter travel extensively in their RV. They explore the world for a few months out of the winter and work their gardens in the summer – truly the best of both worlds. Francis and Marie also run a nonprofit dedicated to bringing rooftop gardens to cities, aiming to change the mindset surrounding agriculture. 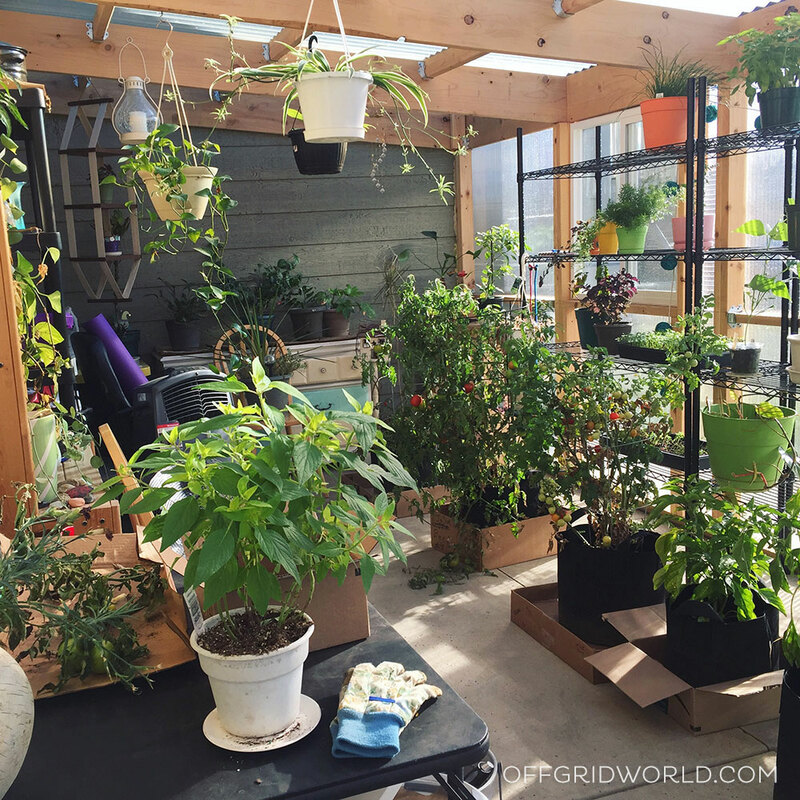 They successfully implemented several rooftop garden projects around Quebec before moving out of the city to their homestead. Their latest project, known as “Hempbassadors”, involves promoting industrial hemp. They pursued this venture after learning how useful hemp is in so many industries, including food, clothing, construction, and many others. They hope to bring awareness to others about the virtues of this valuable, sustainable crop. By keeping expenses low and not having to worry about a mortgage, Francis and Marie have freed themselves from the binds that keep so many people from pursuing their dreams of living off the grid or traveling whenever they please. The Earth is bountiful enough that those who possess the right amount of fortitude, problem-solving skills, and survival know-how can turn a small plot of land into an ever-giving resource. The idea of going off grid is appealing to many—it means living every single day in the fresh air and honing a more sustainable way of life. By turning to natural living, you put less strain on the environment, learn how to become entirely self-reliant, and experience the many joys of Mother Nature. Yet living off the land is not for the weak or ill-prepared. It takes years of groundwork and skill-honing to get to a place where you can survive (and thrive) without municipal utilities, grocery stores, and other resources we take for granted each day. What Does It Mean to Live off the Land? If you’re reading this, you’re probably already relatively well-versed in the off grid lifestyle, but, for those of you who are brand new to the idea of going rogue, here’s a bit of a rundown. Living off the land means to survive only by the resources—food, water, and power, primarily—that can be harvested from the natural land. In other words, those who live off the land survive by hunting or foraging for their food and harvesting power from natural sources like the sun or wind. 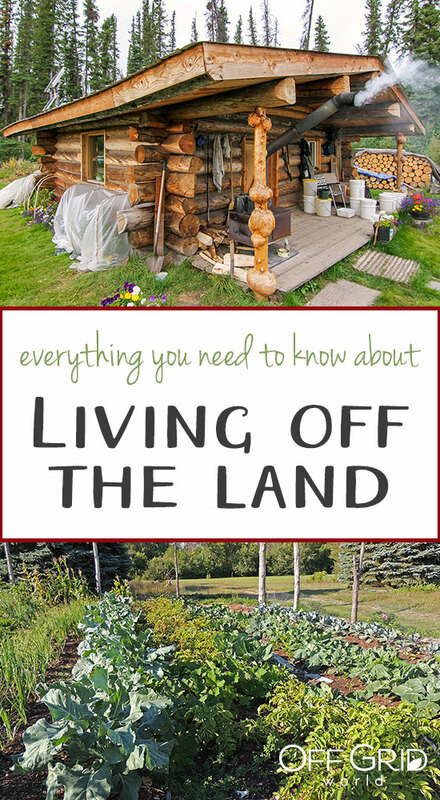 Whether you call it homesteading, off grid living, or permanent camping, living off the land is a rewarding way to train yourself and your family to be fully self-sufficient. On-grid dwellers don’t have to worry about sourcing water. It’s pumped straight to their homes through the public utility or a well. Off grid, you’re on your own. You can bring water to your home site in various different ways, such as rainwater harvesting, digging a well, or using wind or solar power to supply H2O to your home via a freshwater source. When you go off the grid, you’ll find very quickly that water is a precious resource. You won’t get far without clean, reliable water, so save those containers and stock up! The pursuit of food (energy) is nearly everything in wilderness living. When you remove yourself from the typical way of life and opt to live off the land, you instantly turn from a regular citizen to a hunter-gatherer. 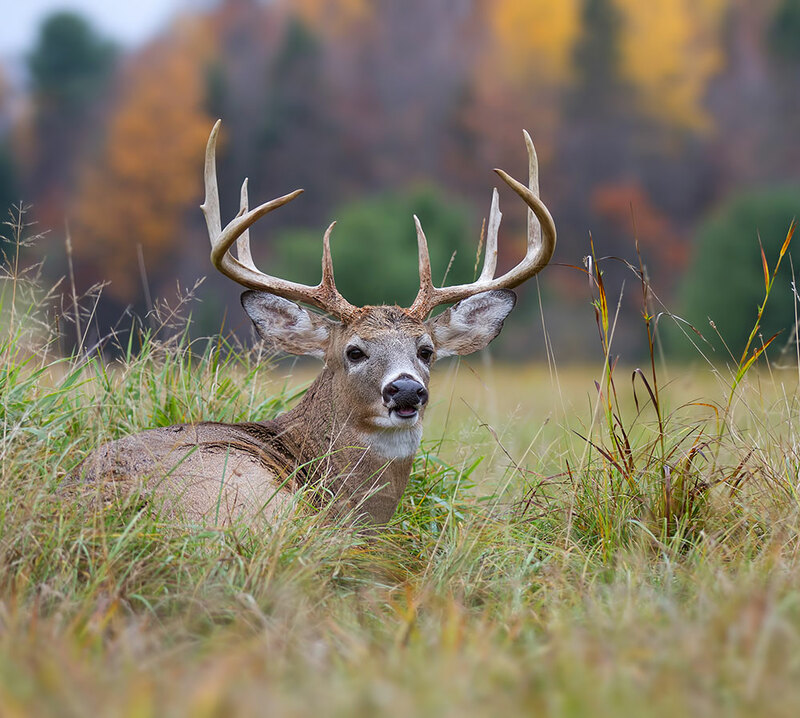 Food sourcing means becoming skilled at hunting, fishing, gardening, farming, composting, land management (i.e., creating the ideal food plots to attract deer or other food sources to your property) and many other vital life-giving skills. Staying safe from the elements—cold, rain, wind, snow and extreme heat—is one of the most important things you can do to stay productive, safe and (quite frankly) alive when you’re living off the land. Building shelter doesn’t just mean having a reliable roof over your head. It also means having a stash of rugged cold-weather gear and failsafe fire-starters on hand. Security from intruders and wild animals is also a vital component of reliable shelter. 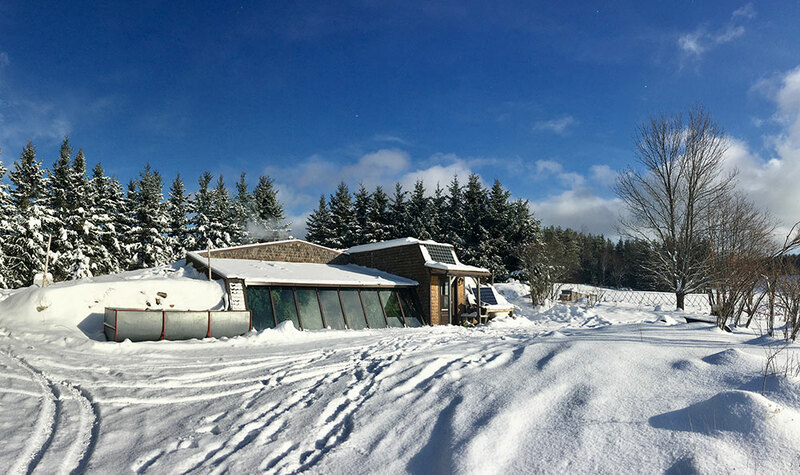 If you’ve got a plan for how to handle water, food, and shelter, you’re already well on your way to a very sustainable homesteading scenario. But, of course, there’s more to think about. Here are a few other things to consider. Sure, we’ve all spent that week or two camping with only a battery-powered lantern and a raging fire to sustain us—but living without power for the long-term isn’t just inconvenient, it’s downright unsafe. Your use of power will surely decrease when you go off grid completely, but you still need it for things like warmth and cooking. 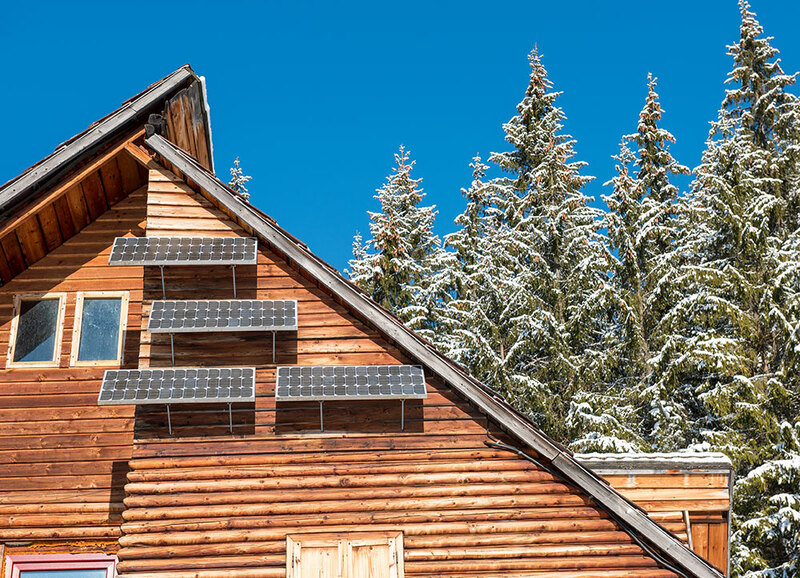 Consider all of your off grid powering options — solar power is the most popular and accessible for many homesteaders—and select the option that’s the most reliable and sensible for your particular needs. Plastic and other throwaway goods are generally no longer on the table when you decide to permanently live off the land. Anything that’s not made to endure in harsh, demanding conditions season after season is a no-go. You should go into your off-grid environment with long-lasting apparel, equipment, home goods and spend time shopping around for the most durable outdoors apparel, including coats, pants, mid-layers, base layers, gloves, hats and face masks that can be worn or repurposed for many years. At the end of the day, if you do nothing else to prepare for your new lifestyle, it’s key that you know how to take care of yourself in the event of an emergency. There may be scenarios where you have to return to “normal” society—to get medical attention or to restock supplies, for example—and you have to be open to that and willing to put your survival first, no matter if it compromises your personal principles. Learn everything you can about first aid so that you can deal with everyday issues and injuries swiftly and appropriately. 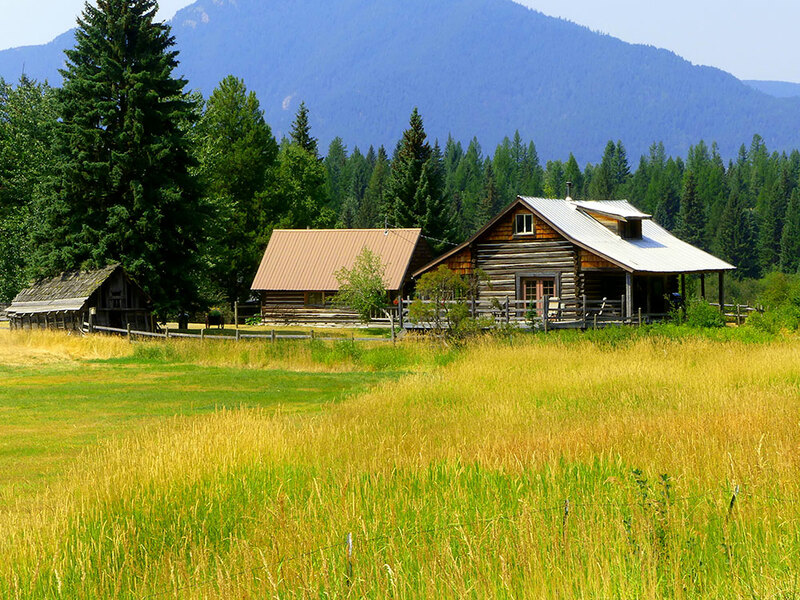 Homesteading and living off the grid are all about self-sufficiency. That means self-sufficiency in feeding yourself, sheltering yourself, and entertaining yourself. Even if you plan to enter this lifestyle with a spouse or your whole family, you will most likely have bouts of loneliness since you’ll be interacting with fewer people on the whole. Make sure you’re prepared for this and have a plan for how to handle it. Switching to an off grid lifestyle may be one of the best decisions you ever make. You’ll feel more productive and rewarded than ever. However, if you don’t lay the groundwork for a safe, healthy, and happy homesteading lifestyle, you may put yourself (and others who have decided to take this journey with you) at risk. Spending some time getting prepared is the very best thing you can do to ensure a positive outcome. © 2019 Homesteading Alliance. All Rights Reserved.